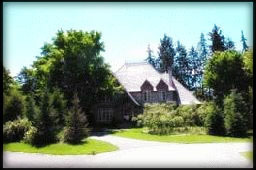 Stonecrest is an exceptional seven-acre estate, with approximately 600 feet of waterfront on tranquil McKay Lake in the exclusive Old Village of Rockcliffe Park, Ontario, Canada. It is the largest private residence in the Village, and is situated only two miles from Parliament Hill in the nation’s capital. The building of this 15,000 sq. 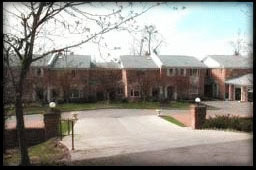 ft. residence was completed in January 2002. This property is unique even by international standards. Imbued with history, this residence captures the essence of the traditional stone manor house, yet has state-of-the-art technology incorporated unobtrusively throughout. The previous residence on this site was built in 1938 and was the refuge of Princess Juliana of the Netherlands and her household during World War II. It subsequently served as residence to the Deputy High Commissioner of the United Kingdom until it was purchased by the current owners. The seven-acre gated property is surrounded by a stone wall for privacy, and gently slopes down to beautiful McKay Lake. The views over the lake, both from the magnificent residence and the spectacular octagonal gazebo, are simply breath-taking! The scope of this residence, which was designed by internationally-known architect Barry Hobin, is stunning, defying adequate description. No amenity has been overlooked and the craftsmanship and quality of materials is peerless. The 15,000 sq. ft. home was completed in January 2002 and is one of North America's finest offerings. The residence is of all-stone construction and features a copper roof. The principal rooms are on a grand scale with 10- to 13-foot ceilings, suitable for large receptions. Architectural detailing is of the highest order, with spectacular cove moldings throughout, eight gorgeous fireplaces, elegant antique lighting fixtures and quarter-sawn oak hardwood floors. All limestone and marble floors are heated. The state-of-the-art gourmet kitchen is suited to large-scale entertaining, having a butler’s pantry and large granite center island. The kitchen views of McKay Lake are spectacular. The house includes a gorgeous octagonal conservatory overlooking the south-facing garden. The incredible family room has richly paneled walls, a detailed tray ceiling, limestone fireplace and magnificent French windows that are over nine feet tall, opening to exquisite views of the terrace, fish pond and McKay Lake beyond. The romantic master suite is superb, offering a high ceiling, double French doors to the balconies, sitting area, fireplace, dressing room, and magnificent marble ensuite bathroom. Stonecrest also includes a private study and library, billiards room, fitness room, and games room. 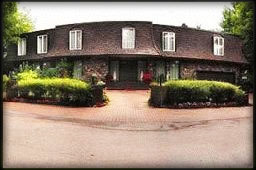 It has full staff quarters and a five-car garage on an imposing circular driveway. The landscaping has been done to satisfy the most demanding taste. For further details regarding this spectacular estate, please contact Marilyn Wilson. 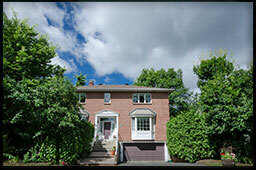 Prime property in a most desirable location in the Old Village of Rockcliffe Park. This spectacular home is located along prestigious Embassy Row in the Old Village of Rockliffe Park. It is discretely placed, the grounds are beautifully landscaped, the construction is unparalleled and it wants for nothing. This is simply a magnifcent estate. 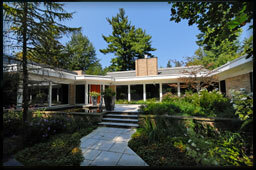 This is one of Rockcliffe Park's rarest properties. . 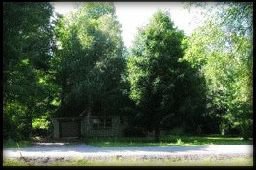 This spectacular building lot offers over one acre of vacant land to build your true dream property. 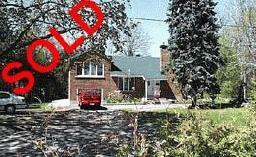 This lot is the largest vacant lot to come to the market in Rockcliffe Park in over 30 years. Only steps from Rockcliffe Park Public School, Elmwood School and Ashbury College, this property allows the buyer to build their dream home. This spectacular French provincial style home is located on prestigious Crescent Road amid stately ambassadorial residences. 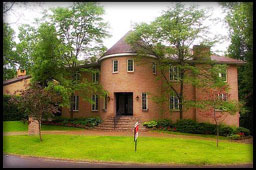 It has wonderful curb appeal, with its circular driveway, beautiful landscaping, and exterior facade. Among the many features of this lovely home are a copper-clad centre island kitchen, large living and dining rooms, spacious entry hall, nine-foot foot ceilings and hardwood floors. The kitchen opens to a flagstone terrace overlooking the beautiful pool and hot tub. The gardens are landscaped to ensure maximum privacy. This is one of Rockcliffe Park’s spectacular newer homes. Located on a prestigious street in the heart of the Old Village of Rockcliffe Park, this eminently livable, newer construction home is perfect for those wishing to marry family living with sophisticated entertaining. 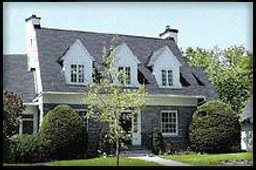 The location is within walking distance of the Rockcliffe Park schools, the Community Centre and Library, Mackay Lake, the skating rink (winters only), Queen Juliana Park, and the Rockcliffe Park Lawn and New Edinburgh tennis clubs. This beautiful home enjoys incredible natural light conditions throughout the day, and this continues past twilight via exceptionally well-designed lighting. The sophistication of this residence is reflected in both its form and function. The décor epitomizes quality and elegance – exceptional architectural details, generous application of beautiful moldings, extensive use of marble and granite, and high-quality hardwood floors with inlays. The large foyer has a soaring, 18-foot ceiling and marble floor. It opens to a magnificent living room featuring a beautiful coffered ceiling with cleverly-designed recessed lighting, built-in stereo speakers, and full southern exposure. The focal point is a spectacular marble fireplace. Large French doors lead to a private cherry wood-paneled study with custom built-in display cabinets. The intimate and light-filled dining room is situated off the main foyer hallway. Its architectural details are fantastic! It has built-in speakers and a beautiful view of the delightfully landscaped front garden. A well-designed Downsview granite kitchen opens to the adjacent family room with a marble fireplace and media centre. Double French doors lead to the beautiful south- and west-facing pool. The kitchen is simply state-of-the-art. It features a walk-in pantry, Sub-Zero wine fridge, 48-inch stainless steel Sub-Zero Fridge/Freezer, stainless Dacor gas stovetop with electric grill, two stainless Dacor convection wall ovens, Kitchen-Aid trash compactor, and stainless Miele dishwasher. A functional black granite centre island frames a stainless steel Franke sink and a second stainless sink and overlooks the family room. The high counter and seating obscures views of the messy stuff from the family room. The master bedroom suite is located on the main floor and is very private having its own foyer and two walk-in closets. The spectacular six-piece ensuite bathroom has a barrel-vaulted ceiling and is suffused with light from the garden. 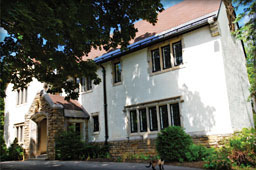 The second floor has four additional bedrooms, three with ensuite bathrooms and large walk-in closets, and a computer room. There is also an exceptionally large and well-designed linen closet. The fourth bedroom currently serves as a media/family room. It has built-in bookshelves, a custom media wall, and is privately located in relation to the rest of the living area. Among the many other features of this spectacular home are a large main-floor laundry with windows to the back yard and which is perfect for access to the swimming pool, a second powder room adjacent to the pool area, and a back door. There is extensive storage space with well-designed closets, a large cedar closet, and a walk-in pantry. 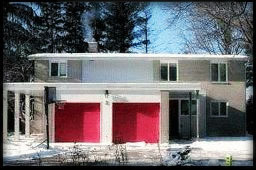 The triple garage is uncommon in Village homes. The large, unfinished basement has high ceilings, a wine cellar, and is plumbed for a nanny suite with ensuite bathroom. Lot Size: 25,933.48 sq. ft.
"Sophisticated decor" epitomizes this outstanding home, with the principal rooms being on a scale suited to grand entertaining and the rest of the house designed for family living. Architectural details abound with beautiful wood, terra cotta tile and marble floors, impressive cove moldings, large baseboards, solid wood paneled doors and lovely wainscoting. The entry and reception rooms are sized to welcome the largest party of visitors. The living room is warm and inviting and perfectly suited to elegant entertaining, with overflow areas adjacent for very large groups. The formal dining room has elegant wainscoting the finish of which is outstanding, and will accommodate large dinner parties; the rotunda dining room is more intimate and suited to family dining. The up to date professional kitchen is simply spectacular, with large granite counters and island, professional appliances, terra cotta floor and beautiful eating area looking over the terrace and grounds. If you don't cook, you will want to learn! This home has too many features to cover adequately. The romantic master bedroom suite offers his and hers dressing rooms with southeast-facing balcony overlooking the grounds, a beautiful marble en suite bathroom, and a north-facing balcony over looking the river and Gatineau Hills. Other highlights include a conservatory, den, office, and exceptional, professional-quality work-out area with magnificent sound system. The bedrooms all have great views. 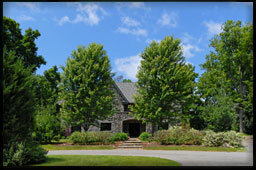 The grounds feature sophisticated landscaping and are maintained to perfection. The back terrace is accessed from the family room and lends itself to indoor-outdoor living. 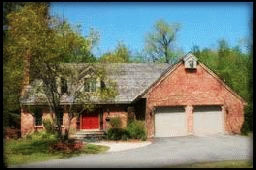 A large, detached four-car garage has extensive storage space and is completely hidden from the front of the property. Lot Size: 100 ft. x 150 ft. This property is located in a quiet, desirable location in the heart of the Old Village of Rockcliffe Park. Custom built by GM French Construction in 1999-2000, the residence incorporates only the highest quality materials standards of craftsmanship, and this is readily apparent on superficial examination. 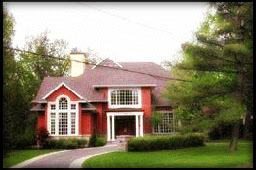 The home is elegant, sophisticated and benefits from its prestigious location and superb landscaping. The granite entry is impressive and suited to receiving large parties. This theme continues through the reception areas to the principal rooms, which also lend themselves to entertaining on a grand scale. The ceilings are nine feet throughout. There is a family room, library, craft room for the children and many wonderful cozy spots in which to curl up and read or just bask in the ambience. Architectural details abound - warm, inviting American cherry floors, elegant plaster moldings, tray ceilings and four beautiful fireplaces are but a few examples. Great attention has been paid to the lighting throughout the property, from the recessed halogens, to illuminated tray ceilings, to choice of fixtures and outdoor illumination. The granite centre-island kitchen is simply stunning. It feature top-of-the-line stainless steel appliances, a stainless steel backsplash, gas stove top and warming drawer. The charming breakfast room enjoys eastern light through its circular bay window, and overlooks the terrace and beautifully-landscaped gardens. The large master bedroom suite is located privately on the second floor. It features a sitting room, his and her ensuite bathrooms and a large walk-in closet. With four bedrooms and a second-floor laundry room, this home is also well suited to family living. A fourth bedroom, located on the main floor, has its own kitchenette, sitting room and private entrance, making it a perfect suite for a nanny, parent or returning child. The lower level has a billiards room that overlooks a fabulous spa with a large hot tub, sauna and 60-foot salt-water lap pool with south-facing windows. There is an attached, heated four-car garage, mudroom and elevator to transport groceries to the kitchen. There is also a fitness area and media centre for the enjoyment of the whole family. 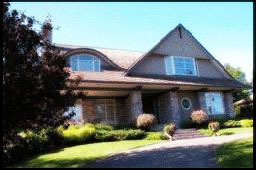 This magnificent property is beautifully landscaped and has exceptional curb appeal. 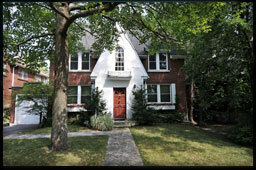 It enjoys a prestigious location in the heart of the Old Village, and is within a short walk of the neighborhood schools. 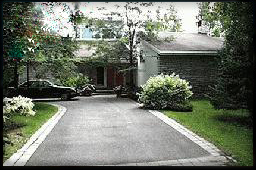 It is also one of the few Rockcliffe Park properties to have a four-car garage. This home was built using plywood, not composite board, a feature that will appeal to those with allergy concerns. 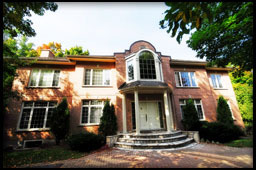 This David Mailing-designed residence absolutely qualifies as one of Rockcliffe Park's true DreamProperties! Lot Size: 188.9 ft. x 135.0 ft. 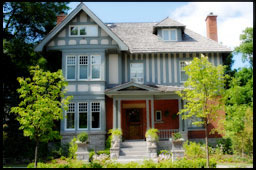 This beautiful Victorian residence is one of the most distinctive properties in the Old Village of Rockcliffe Park. It enjoys A most prestigious location in the Old Village, has undergone a sympathetic Guy French renovation, and features three stories of architectural details and amazing living and entertaining space. Beautiful landscaping, a circular driveway, gated back driveway and a most beautiful Ginkgo biloba tree contribute to this property’s curb appeal. A large foyer leads to a grand scale living room. The living room can also function as a Great Room with its fireplace, window seating, and French doors to the terrace. The dining room is charming and has its own fireplace and window seating. The spacious and bright Design First kitchen lends a country feel with its beautiful cabinetry, Miele cappuccino/espresso machine, 48” Sub-Zero refrigerator, double stainless steel wall ovens, two Sub-Zero drink drawers, electric cook top, and much more. It also features a handy built-in desk area and bulletin board. The adjacent breakfast room is bright and airy, overlooking the gorgeous terrace and pool. The family room has terra cotta tile floors, California shutters, and original arched wall cabinets. There is a spacious mud room and a conveniently-located second main-floor powder room. The lovely master bedroom suite is spacious, well laid out, and complete with a walk-in closet and beautiful marble ensuite bathroom. There are three additional bedrooms on the second floor enjoying, respectively, a fireplace, balcony and window seating, window seating, and a cozy reading niche. The family bathroom is bright and cheery. The third floor offers amazing space with a large landing, four separate rooms and a family bathroom. The basement is beautifully finished and has a recreation area, playroom, huge laundry room and an additional bedroom with bathroom for a nanny or staff. The oversized garage is newly-constructed and has a complete fitness room above. This is an extremely desirable Old Village residence. Lot Size: 32,068 sq. 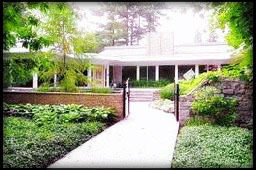 ft.
400 Acacia Avenue is one of the most prestigious and magnificent residences in Rockcliffe Park, having served as the United States ministerial residence since 1948. Listed at $2,850,000, this is the first offering of this historic property in 58 years. This is a rare offering of a historically significant and substantial residence in the finest location in the Old Village of Rockcliffe Park. 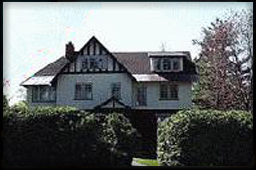 Constructed in the early 1930’s to the specifications of Mrs. Walter Bronson and the design of architect A.J Hazelgrove, 400 Acacia Avenue has served as the United States ministerial residence since 1948. It occupies 32,068 square feet of land in the heart of the Old Village, bounded by Acacia Avenue, Buena Vista Road and Crescent Road. This three-storey residence is at once stately and imposing, to the extent that it was home to Paul Newman and Joanne Woodward in the film Mr. and Mrs. Bridges. With a large attached garage, spacious lot with mature landscaping, dry-laid stone wall and circular driveway, this unique property has outstanding curb appeal, making it one of the most distinctive residences in Rockcliffe Park. The main-floor principal rooms are on a scale suited to formal entertaining. The ample entry leads to a very large lobby which, when combined with the spacious living room, large den and enormous sunroom allows for entertaining on a grand scale. For formal dining, the large dining room with pantry and access to the expansive kitchen is perfectly laid out. The commercial kitchen has its own office adjacent. The imposing staircase leads from the main lobby to the second-floor lobby. There is a master bedroom suite with ensuite bathroom, four additional bedrooms and two bathrooms on the second level. There are also a library and an office that could readily serve as additional accommodation. A back staircase communicates with the kitchen. The third floor is reached by stairs off the second-floor lobby and is devoted to a large bedroom with ensuite bathroom and cedar closet, extensive storage space, a study, and space for mechanicals. The flow on the main level simply could not be better. It lends perfectly to both entertaining and family living. With a large attached garage, spacious lot with mature landscaping, stone wall and circular driveway, this exceptional property has outstanding curb appeal. 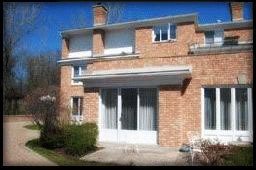 The location is prestigious and within a short walk of the Rockcliffe Park Community Centre and Library, Ashbury College, Elmwood School, Rockcliffe Park Public School and the Rockcliffe Park Lawn Tennis Club. Lot Size: 189.9 ft. x 135 ft. 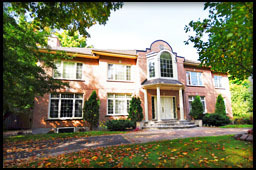 This restored Georgian residence is situated prominently in the heart of the Old Village of Rockcliffe Park. Distinctive and historical, this three-storey home features striking architectural details throughout and epitomizes character. It offers six bedrooms, five bathrooms, high ceilings, crown moldings, hardwood floors, beautiful bow windows, large principal rooms, and a fully-finished basement. Lot Size: 20,751 sq. ft. This remarkable, two-story Country French home is one of Rockcliffe Park’s finest dreamproperties! It adds character and beautiful design to the mosaic that is the Village. Situated on a prestigious cul-de-sac amongst some of Rockcliffe Park’s most distinctive homes, this residence is known for both its beauty and presence. 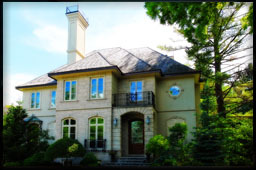 Its beautiful all stone exterior sets it off in spectacular fashion. On a bright sunny day this lovely home gives the feeling of being in the heart of Provence, as the light filters into the rooms. The owners designed this house to optimize the light conditions, using oversized true divided windows and incorporating French windows that open into the main floor rooms and surrounding mature-treed, landscaped lot. The dramatic entry has exceptional detailing and features a gorgeous glass door. The main floor has a spectacular foyer reminiscent of a vintage Provence home. The foyer opens to a spectacular granite Downsview kitchen with island and spacious counter seating, and a great room with an impressive 20-foot ceiling. The great room has a wood burning stone fireplace, southern exposure, French windows with significant hardware, hardwood floor and a superb dining area with a beautiful bay window. 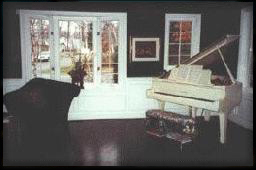 There are also a main floor study and a dining / music room. The principal rooms are all light and bright. The owners' favorite place is the screened porch with its magnificent all stone floor-to-ceiling fireplace. This room opens to a beautiful, covered, terracotta-floored terrace. The second floor has a large landing leading to the very spacious and romantic master bedroom suite. It has his and her walk-in closets and a six-piece ensuite bathroom with a private toilet/bidet area. The master suite is situated away from the children’s bedrooms for privacy. Imported custom tiles are featured in all the bathrooms. The house is oriented to ensure maximum privacy. Its unique 20,751 sq. ft. setting allows it to be located approximately 100 feet from its neighbours to the east and west. The back yard and garden are spacious and extremely private with southern exposure. Lot Size: 19,230 sq. ft. This spectacular, award-winning home was designed by Barry Hobin and built to the highest standards by G.M. French Construction. Traditional styling combines with state-of-the-art technology in a elegantly-landscaped, private setting to create a unique offering. The location, overlooking ‘Loronado’, the residential estate of the U.S. Ambassador, ensures privacy via exceptional park-like views. The owners have thought of everything for an active indoor-outdoor lifestyle. 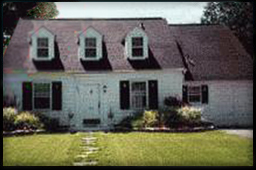 As a result, this home won Best House Design for Over 4000 Square Feet in 1999. The spectacular foyer and grand hall welcome you to an exceptional living and entertaining space. The living and dining rooms lend themselves to either formal or casual entertaining. This duality of function epitomizes the house. Architectural details abound. The main floor master bedroom suite has ultra private views of the gardens and a beautiful ensuite bathroom. A gorgeous kitchen is designed around a granite center island and features exceptional appliances, a butler’s pantry and a walk-in pantry. The adjacent family room is spectacular with its floor-to-ceiling stone fireplace and serene, park-like views. A study and large laundry/mud room, with access to the three-car heated, attached garage, complete the main floor. An elegant curved staircase leads to the second floor, where French doors open to a 10 by 12 foot balcony with stunning views of the adjacent ambassadorial estate. The bedrooms are large and feature their own ensuite bathrooms. A curved staircase leads to the bright lower level, which is designed for a health-conscious, active lifestyle. West-facing windows illuminate the great room / billiards room and the ultimate retreat – an incredible fitness room with Infinity hot tub, mirrored workout wall, sauna, shower room and powder room. All systems in this home, including security, communications, heating, cooling and air quality control are state-of-the-art. Absolutely beautiful landscaping, a circular driveway, and three-car attached garage complete this spectacular offering. Lot Size: 154.00 ft. x 120.00 ft IRR. This is a rare find in the Old Village of Rockcliffe Park. This recently renovated five plus bedroom family home is an exceptional property and considered one of the finest traditional homes in the City of Ottawa. 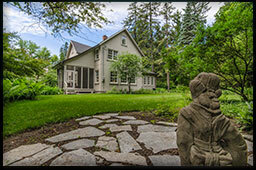 Renovated by Guy French, it is a rare find even for Rockcliffe Park. A family could wish for very little that is not found in this exceptional property. Enter through the beautiful oak door to the spacious entry for greeting guests. The main floor has large principal rooms suitable for entertaining on a grand scale. The large living room features an imposing fireplace, gorgeous silk fabric drapes and beautiful valence detailing. The dining room is spacious and bright and showcases an elegant antique marble fireplace. There is a main floor study, den, family room, and breakfast room. The gourmet kitchen is absolutely spectacular in both design and function and was featured in the prestigious kitchen magazine Kitchen Trends. It was designed by the owner in collaboration with Design First Kitchens and features two Sub-Zero refrigerators with four Sub-Zero drawers, a Thermador gas stove top, two Miele dishwashers, and two Bosch wall ovens. The owners have designed many kitchens and for this one they chose an exciting hue - Gelato Mint. The second floor has a completely private master bedroom suite with marble fireplace, western exposure, views of McKay Lake, and an award-winning, spectacular ensuite bathroom. There are two additional bedrooms on the second floor, one with ensuite bathroom, and a family bathroom. The third floor also has two bedrooms and a shower room. This amazing house also offers a separate entrance to a guest suite complete with living room, kitchen, private second floor bedroom and two bathrooms. The basement is a walkout to the back yard, making it very light with its southern exposure. 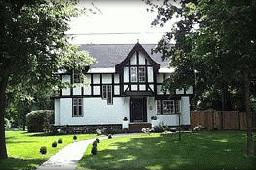 It has a fabulous recreation / media room, billiards room, bathroom, laundry room and plenty of storage and play space. This home enjoys the best of everything including southern exposure. There is a full sun room on the main floor with doors leading to the covered loggia and south-west-facing pool with hot tub and waterfall. The gardens were designed by Garden Creations and incorporate many fine features including a flagstone terrace, feature boulders, ponds, etc. Lot Size: 101 ft. x 145 ft. 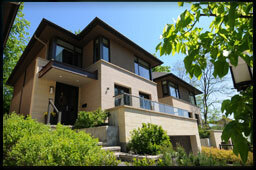 Completed in 2002, this spectacular residence enjoys a unique location in the Village of Rockcliffe Park. 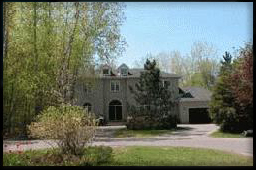 It commands broad vistas across treed NCC parkland and tree-filtered views of exquisite MacKay Lake. The fabulous location sets the tone for what can conservatively be called a spectacular open-concept home. With six bedrooms and five bathrooms the accommodation is perfect for family living. The scope of the principal areas and open-concept lend themselves to fabulous entertaining. In addition to its spaciousness, this residence boasts dramatic architectural design and detailing. Fourteen-foot, halogen-lit ceilings, exquisite eight-inch mouldings, inlaid hardwood floors, and beautiful limestone fireplaces all attest to the highest quality and workmanship. The beautiful kitchen features granite countertops, high-quality cabinetry and state-of-the-art appliances. The master bedroom suite is simply qorgeous. This home and its setting are complementary and add up to an outstanding offering. Lot Size: 18,810 sq. ft. This absolutely wonderful open-concept contemporary home is situated on a very quiet street in the Old Village of Rockcliffe Park. 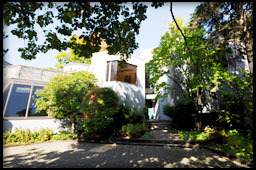 Designed by Ian Johns, this 6-year old residence offers the best of resort living in beautiful Rockcliffe Park. It affords the sophisticated buyer the opportunity to live in a space that allows the outdoors to form, visually, part of the interior. For those who are health conscious it has an indoor pool, hot tub, fitness room, and aerobic play room with resilient floor. This spectacular design features covered upper and lower balconies and a central front courtyard. Dramatic, bright, wide hallways are visually open to the outdoors; the living spaces are spectacular. The large dining room and living room, four fireplaces, and doors that let the outdoors in lend themselves perfectly for all-season entertaining. 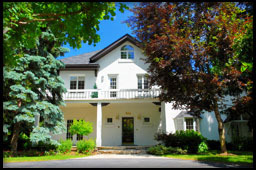 This classic, Georgian residence is located in one of the most desirable locations in the Old Village of Rockcliffe Park. Enjoying newer construction (approximately 12 years old), this is an opportunity to acquire a beautiful Rockcliffe Park residence with traditional appearance, prestigious location, and in move-in condition. This residence is of a scale suited to both family living and entertaining. It features nine-foot ceilings, architectural detailing, hardwood floors throughout and marble-floored foyer and ensuite bathroom. On entering, the imposing foyer reveals a grand staircase to the second floor with its overlooking gallery. To the left is the beautifully-appointed living room with fireplace and to the right the large, entertainment-sized dining room. The modern, spacious Downsview kitchen and bright, airy breakfast room enjoy western exposure and are located adjacent to the generously-sized family room with its beautiful fireplace. The family room opens to the terrace via double French doors; the kitchen also has outdoor access. There is a lovely main-floor study with built-ins. The second floor features the romantic master bedroom suite with beautiful marble ensuite bathroom and walk-in closet. There are three additional bedrooms, one with its own ensuite bathroom and two that share an ensuite bathroom, on this level. All bedrooms are generously sized and privately situated off the gallery. The basement is large and unfinished – ready to be completed to the new owner’s specifications. The double garage is accessed via a heated driveway and includes an L-shaped area suitable for use as a third, if less accessible, parking area or other storage. The back of the house opens to a beautiful, multi-level stone terrace. The gardens are beautifully landscaped and include a pond, waterfall and feature bridge-walkway. Privacy abounds and there is a tranquil feel to the property. Add to all this the superb location and you have an exceptional dream property. Lot Size: 100 ft. x 156.35 ft.
PRIME LOCATION IN OLD VILLAGE! Located just past the Prime Minister’s Residence along the Sussex Drive Ceremonial Route, this majestic family home is one of the first residences to be seen when entering beautiful Rockcliffe Park. Completely renovated in 1989, this property has fabulous curb appeal with its circular driveway and impressive flagstone entrance. 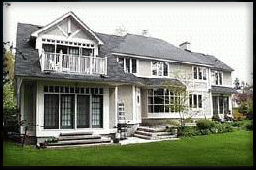 The residence is sited to capture NCC parkland views and epitomizes Rockcliffe Park living. The vestibule opens to a grand foyer that introduces the main floor with its spacious rooms, hardwood floors, and 9-foot ceilings. The living room has a fireplace and a beautiful bay window; a small study with southern exposure is adjacent. The dining room is stately and well-sized for entertaining. The kitchen is bright, off white and very functional with a 48" Sub-Zero refrigerator, two ovens and a bright breakfast room with doors leading to a wonderful flagstone terrace. Adjacent to the kitchen is the family room, featuring built-in bookcases, a fireplace and French doors to the terrace and garden. The second floor has a lovely master suite with ensuite bathroom. There are bedrooms on the second floor and a lovely family bathroom. One of the bedrooms has its own fireplace; another own private entrance from the main floor. For the ultimate in convenience, the spacious and bright laundry room is also located on the second floor. The third floor is a retreat comprising another family/television room complete with its own wet bar and fridge. The basement of this home is simply outstanding – it has something for every one. For the oenophile there is a superb wine cellar and tasting room; for the fitness aficionado an exercise room; and for everyone else a great billiards room. There is extensive storage space throughout. There is no better location than that of this beautiful 37,556 sq. ft. property. Located on prestigious Crescent Road amidst other significant properties, 7 Crescent Road offers unparalleled views from its perch on the escarpment. 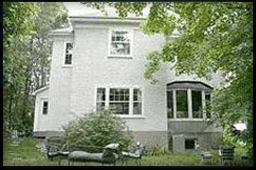 It overlooks the beautiful Rockeries and beyond to the Ottawa River and the Gatineau. The contemporary style home is expansive and offers fabulous views from all principal rooms. The price is set to reflect the need for updating. 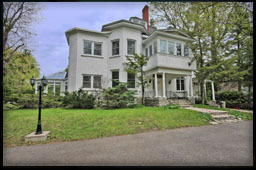 This is a rare opportunity to purchase a significant property on Embassy Row with room to be creative. Completed in 1932, this incredible property has just come to the market from its second owner. This imposing, estate-sized property comprises a corner lot in a highly desirable location in the Old Village of Rockcliffe Park. The 32,849 sq. ft. property features expansive grounds affording great privacy and a beautifully preserved stone and stucco three-storey residence with great curb appeal. This wonderful, classic Rockcliffe Park residence has 9-foot ceilings throughout, stately mouldings and handsome baseboard detailing. The doors are impressive and feature solid hinges and finials. Classical detailing is continued throughout and includes beautifully preserved leaded windows that allow for southern and western exposure across the gardens. The main floor has a grand hallway with doors to the extremely large living room and facing, entertainment-sized dining room. Both feature western and southern exposure through beautiful leaded windows. Off the impressive second-floor landing and hall are located the master bedroom suite with ensuite bathroom, family bedrooms and a two-way ensuite bathroom. The third floor has a large recreation room, two bedrooms and a bathroom. There is an additional bedroom over the garage. The double garage is large and has its own washroom. The basement is unfinished but does have a recreation room. There is a greenhouse, and complete staff and guest quarters that could be converted to the delight of any teenaged residents. This property is of a size that affords the privacy typically associated with country living, with no neighbours located within 100 feet of the residence. This is a rare opportunity to acquire an estate in a desirable location in the Old Village. Lot Size: 15,600 Sq. Ft. 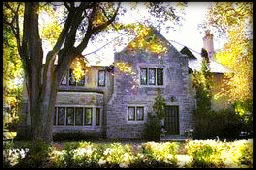 This is a grand Georgian residence situated in the Old Village of Rockcliffe Park. The spectacular entrance and grand foyer are the prelude to a siimply magnificent home. Exceptional architectural details such as crown moldings and marble and hardwood floors set this residence apart.The kitchen features a centre island and an adjacent family room. The master bedroom suite enjoys views of Mackay Lake. Lot Size: 120 ft. x 130 ft. 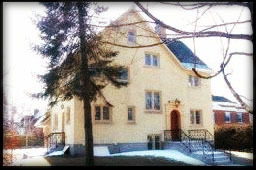 This grand Georgian residence is situated in the Old Village of Rockcliffe Park near Mackay Lake within walking distance of local schools and the Rockcliffe Park Community Centre. The entrance, with its soaring ceilings, offers the perfect introduction to this spectacular home. The layout is suited to family living, and the scale and flow also work for entertaining on a grand scale. This beautiful home has an abundance of architectural details including four fireplaces, crown moldings, granite kitchen, and marble and hardwood floors. With five bedrooms and a nanny suite there is an abundance of space. The foyer is dramatic with its staircase to the second floor gallery. The living room and formal dining room both feature fireplaces, large windows and a sense of volume and light. The centre island kitchen has stainless appliances, granite counter tops and lovely views of the garden. It opens across the island to a large breakfast room that with a breathtaking 18-foot feature window. The second floor landing leads to a beautiful, large master bedroom suite with sitting area, walk-in closet, and views of Mackay Lake. The marble ensuite bathroom is spacious and features a large Roman tub. The other bedrooms are also on the second floor, three sharing a family bathroom and one having its own ensuite. A large balcony overlooks the back garden, and there is a second floor laundry room for convenience. The basement is fully finished with a dance floor, bar, fitness room, theatre and nanny suite. The garage is double and attached conveniently via the back entry/mudroom. The gardens are nicely landscaped and there is a large deck off the breakfast room. Outstanding residence in the heart of the Old Village of Rockcliffe Park. This home has exceptional architectural design and detailing combined with the highest quality and workmanship. Lot Size: 17,750 sq. ft. This stately English country manor house is a magnificent residence situated on a quiet cul-de-sac in the Old Village of Rockcliffe Park. 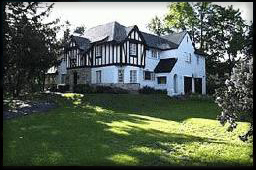 This is one of the finest Tudor-style residences in the Village of Rockcliffe Park. 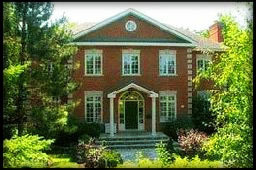 This incredible Georgian two-storey home is located in the Old Village of Rockcliffe Park. Its room sizes are on a grand scale suitable for elegant entertaining. The foyer is spectacular with its 18-foot ceiling, magnificent staircase and chandelier. The new 2001 kitchen features a granite centre island, walk-in pantry, and wet bar. The unique breakfast room has an 18-foot ceiling and dramatic architectural window and detailing. The family room, with southern exposure, fireplace and gleaming hardwood floors is outstanding. Other features include a main-floor study with French doors, large mud room, and double attached heated garage with terra cotta-tiled floor. The second floor master bedroom suite has a fireplace, sitting room,large walk-in closet with skylight, and a fabulous en-suite bathroom with a raised Roman tub set in a semi-circular bay window. The master shower is of tumbled limestone and features Grohe faucets and body sprays. The second floor also has three other bedrooms, two bathrooms, and a study that can serve as a fifth bedroom. The basement is fully developed with a recreation room, entertainment counter, playroom, dance floor, exercise area and nanny suite. Other features include four fireplaces, hardwood floors, French doors, southern exposure, and a large deck suitable for enteraining. Lot Size: 20,885 sq. ft. This is a rare opportunity to obtain one of Rockcliffe Park's few waterfront properties. With views of both McKay Lake and The Pond, this home is at once unique and totally spectacular. This architecturally breathtaking home is located in a dramatic treed setting on an extremely private 20,885 sq. ft. lot in the New Village of Rockcliffe Park. Its dramatic architecture and wonderful views cannot adequately be described. Lot Size: 20,450 sq. ft. This magnificent Georgian home is located on a quiet cul-de-sac in the Village of Rockcliffe Park and is sited on a large, irregular 20,450 square foot lot with 118 foot frontage. On entering through the grand foyer with 18-foot ceiling and white marble floors, one is struck by the dramatic double, curved staircase and architectural detailing. The rooms are spacious and laid out to suit both family living and entertaining on a grand scale. The living room is large, very bright and features a two-sided fireplace opening also to the adjacent sunroom. The dining room is suited to formal entertaining. The main-floor family room has a fireplace and a French door accessing the deck and expansive, beautifully landscaped gardens that continue uphill, ensuring complete privacy. The main staircase and the second floor landing are hardwood. The master bedroom suite has double French doors to a sitting room, a walk-in closet, and a large ensuite bathroom with soaking tub. There are three additional bedrooms on the second floor, one with a fireplace and ensuite bathroom. There are a total of seven bedrooms and six bathrooms (three ensuite). The basement is huge and beautifully developed. It features a recreation room, dance floor, wine cellar and small kitchen. There is also a nanny suite with ensuite bathroom and two additional bedrooms and a bathroom. The attached garage is over sized allowing for storage space in addition to parking two cars, and it has a loft, accessible off the kitchen. The owners are installing all new windows and a new roof in July 2007 and this installation will be completed by August, ready for your move! Lot Size: 120 Frontage X 154 Depth in one corner and 87 ft in another 13,000 Sq Ft. 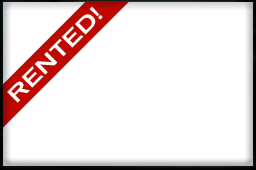 This is a fantastic opportunity to own a turn-key home in the Old Village of Rockcliffe Park. 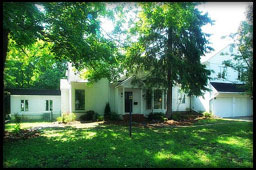 This home is located on a quiet street and has a completely private lot. 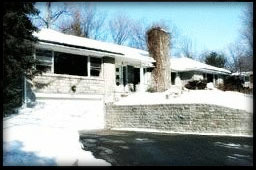 The property is just beautiful and the wide lot frontage of 120 feet ensures complete privacy. For young families the wonderful part is this home is steps from Ashbury College, Elmwood School and Rockcliffe Park Public School. Lot Size: 151.27 ft. x 200 ft. This fabulous family home offers warmth, character and lots of space. It has classic architectural detailing including nine-foot ceilings, inlaid wood floors, leaded windows, French doors, coved mouldings, and impressive baseboards and trim. 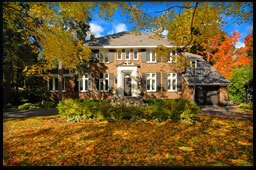 Located in the heart of the Old Village of Rockcliffe Park, this spectacular 26,838 sq. ft. lot is sited amidst other prestigious properties and affords beautiful views of the Crescent Road gardens. 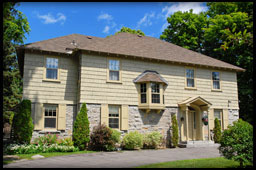 This is one of Rockcliffe Park's grand old homes. The main floor offers a south-facing study with fireplace, living room with fireplace, and a large family room with fireplace and double French doors leading to a deck with hot tub and the gardens. The basement is fully developed with a billards room and playroom. The main staircase has generous landings with beautiful exterior vistas; a classic back staircase extends from the basement to the dormered third floor. Located behind a circular driveway on a mature, landscaped property, this significant property has exception curb appeal and a grand presence. This exceptional lot offers a frontage of 151.27 feet and a depth of 200 feet! Lot Size: 15,481 sq. ft. 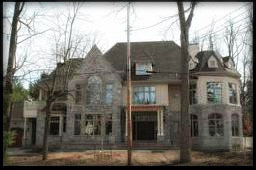 This is a rare opportunity to obtain a magnificent home under construction in the Old Village of Rockcliffe Park and imprint your style on it. This 5000 square foot residence will have four (? plus) bedrooms, six bathrooms and anything else the purchaser requires. It is currently well under construction on a beautiful, 15,481 square foot lot in a prime location. Lot Size: 23,321 sq. ft. This large, six-bedroom, five-bathroom home is situated on a significant 23,321 sq. ft. lot in the Old Village of Rockcliffe Park. Among its many features are included a gourmet kitchen with large breakfast room and adjacent family room, three bedrooms with ensuite baths, hardwood floors, two fireplaces, two balconies, circular driveway, and landscaped garden with pool. Lot Size: 75.00 ft. x 156.46 ft. 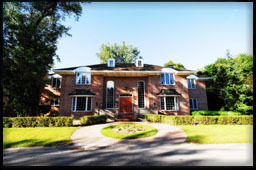 This amazing home is located in the heart of the Old Village of Rockcliffe Park. Architect Julian Smith retained the design and integrity of the original house in this fabulous renovation; the owners ensured that only the finest fitments were employed. The result is spectacular. Its location on a prominent knoll on a large corner lot ensures that this home has light and privacy as well as curb appeal. A first walk through this home reveals one amazing experience after another. The principal rooms are elegant and beautifully finished. The living room features the original marble mantle on its fireplace and opens to a screened-in porch; the dining room exudes a warm invitation. The main-floor study is sumptuous and warm with its custom wainscoting, beautiful built-in book cases, fireplace and original walnut floor, and opens to the terrace placed high above the gardens behind a mature privacy hedge. The floors are hardwood throughout, with the exception of the kitchen that enjoys heated ceramic floors. The kitchen is perhaps the most spectacular room in a house comprised of spectaculars. Without doubt, this custom Downsview kitchen is one of the finest in the Village. Nine-foot ceilings, black granite work surfaces, superb cabinetry and an elevated Provence style fireplace are sure to enthrall you. The centre island incorporates a baking centre with dedicated drawers. 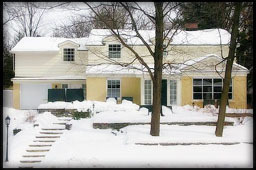 All appliances are state-of-the-art, and include a Thermador six-burner stove with barbecue, two professional built-in ovens, heat lamps and a warming oven; two Franke sinks with disposals and a filtered water dispenser; Sub-Zero refrigerator with two Sub-Zero refrigerator drawers and a Sub-Zero freezer with two Sub-Zero freezer drawers. This jewel kitchen is complemented by the adjacent family room, with stairs to the media room. Taken together they comprise a most amazing living space. The master bedroom is privately located with its ensuite bathroom featuring Waterworks polished nickel fixtures, a soaking tub and a steam shower. There is a custom designed California closet with a heated marble floor. On the second floor there are three additonal bedrooms, and two additional bathrooms; one ensuite. In the fully finished basement there is a spectacular media room that is perfect for entertaining family or friends, and a large games/fitness room, both with fireplaces! There is even have a wet bar and beautiful powder room with a glass pedestal sink. This property is private and beautifully landscaped. The gardens are lovely and well admired in the Village. A detached double garage has been designed to reflect the overall design and enhance the presence of the house. All systems are upgraded, there is Cad-5 wiring throughout and even an automatic generator located discretely in the garage. Lot Size: 132 ft. x 106.93 ft. This spacious, seven-bedroom home is situated on a quiet street in a prestigious location in the Old Village of Rockcliffe Park. It features exceptional family living and entertaining space. Enter though the grand foyer with its 18-foot ceiling to the fabulous main floor. The large living room (35 feet by 19 feet) features a stone fireplace, hardwood floors, southern exposure and views of the indoor pool. The study is paneled and also has a stone fireplace. The kitchen has granite floors, a convenient and practical walk-in pantry, and patio doors. The south-facing patio is very private and features interlocking stone and a built-in barbecue. A main-floor bedroom with fireplace overlooks the gardens and indoor pool. The laundry is spacious, conveniently located and very bright. The second floor is accessed via a large landing and imposing gallery overlooking the grand foyer. The master bedroom suite is grand, and features a walk-in closet and dressing room with built-in cabinetry. The ultimate ensuite bathroom is spacious and includes a full soaking tub, his/her sinks, separate shower and bidet. The second floor also has a lovely gallery that wraps around the landing, 5 additional bedrooms one with ensuite bathroom, and a family bathroom with two sinks. One of the bedrooms, currently serving as a study, features a beautiful south-facing balcony. The basement is fully finished, having two entrances, a billiards room, recreation room, playroom, workshop and wine cellar. Lot Size: 100 ft. x 100 ft. This stunning, five-bedroom, five-bathroom home is located on a south-facing lot in the Old Village of Rockcliffe Park. It features a fantastic, open-concept kitchen with top-of-the-line stainless steel appliances and a romantic master bedroom suite with an incredible ensuite bathroom and walk-in closet. There are beautiful architectural details throughout, two fireplaces and hardwood flooring. The garden is beautifully landscaped and features a salt-water pool and two tranquil ponds – feng shui perfection! The attached double garage is oversized. 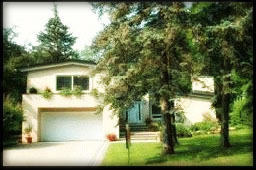 This beautiful family home has loads of curb appeal and is situated on a quiet cul-de-sac in Rockcliffe Park. 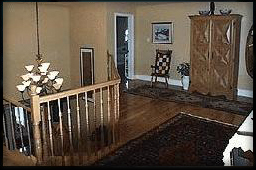 There are hardwood floors on the main floor and upper landing and study. There are 5 bedrooms (one currently used as a large study). The main floor has two fireplaces, lovely garden views, and a large master suite with doors leading to a private and beautiful deck overlooking the low maintenance back gardens. This home has dramatic high ceilings in the living room and beautiful views of the front gardens.There is a finished basement with a nanny suite plus recreation room. There is a double attached garage and circular driveway. 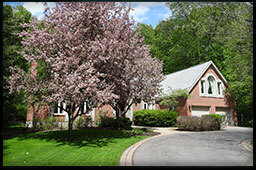 This home has wonderful landscaping and beautiful trees. This is the perfect home for those wanting to imprint their own style. Circular drive and double garage! 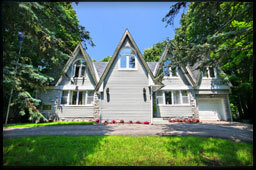 This classic Rockcliffe Park home has undergone an amazing renovation that was completed only 18 months ago. The owners have done what is becoming unusual - kept the warmth and character of this spacious six plus one bedroom home while adding punch, pizzazz and just about everything anyone wants in an upscale home today. The kitchen is simply spectacular with its exceptional detail, fine dentil molding, and incredible light-colored granite countertop set on a magnificent dark-stained centre island with seating. This, together with the bone-colored cabinetry, sets this kitchen apart from all others. A lovely eat-in area overlooks the adjacent, bright family room. The master bedroom suite is spacious and spectacular, with its cathedral ceiling, large balcony, his and her walk-in closets, and his and her ensuite bathrooms that are joined only by the fabulous glass shower they share. The second floor laundry room is conveniently located on the spacious landing, and there are three other children's bedrooms and a family bathroom. The third floor has two additional bedrooms - for a total of six (plus another bedroom in the basement). There is also a third floor bathroom. The basement is lovely, open and bright with southern exposure, a recreation room, large bedroom, 4 piece bathroom and great wine cellar with wonderful French doors and style galore! The garden is fully fenced and comprises a great deck, beautiful pool, hot tub and carport. This full-scale renovation was completed only 1 ½ years ago so it has new systems, roof, plumbing, etc. The workmanship is fantastic and the taste impeccable! Lot Size: 100.00 ft. x 148.05 ft. Situated in the heart of the Old Village, just north of Buena Vista Road, this impressive Georgian style home is wonderful for a large family! The main foyer has an 18ft. ceiling, while there are 9ft. ceilings throughout. 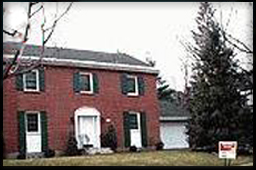 This all brick two storey home offers 5 bedrooms plus two in the finished basement. 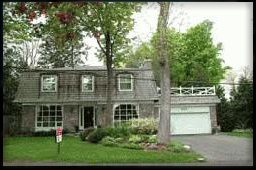 There is a circular drive, a double attached garage and lots of curb appeal. 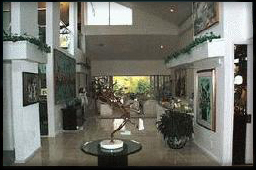 The grand foyer sets the tone for this extremely spacious home built in 1990. An open concept kitchen and family room open to a terrace, pool, hot-tub and gardens. There is a large, main floor bedroom with a walk-in closet and an ensuite bathroom, along with with a main floor study and family room. The spacious, romantic master bedroom suite has his and her closets, a private master ensuite with a hydro-max, air-jet bathtub and a large, steam shower. On the second floor there are four bedrooms and three bathrooms(two ensuite). The fully finished basement is impressive in size and features a billiards room, playroom, two bedrooms, a study, laundry room and bathroom. It is perfect for a family with teenagers, offering lots of private and recreational space. 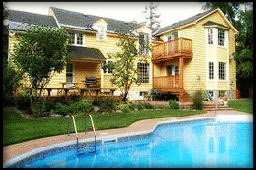 The gardens are beautifully landscaped; a lovely pool and hot tub complete the picture for this exceptional offering. Lot Size: 97.35 ft. x 115 ft. This beautiful two-story home is situated on a quiet street in the Old Village of Rockcliffe Park. 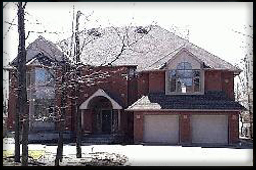 Quality built by Terranova, this residence is approximately 11 years old and shows as new. It features high ceilings, cherry and oak floors, georgeous mouldings, French doors, two fireplaces, lots of closet space and a large mud room. The Downsview centre island kitchen sparkles with granite and enjoys an adjacent family room. The second floor accommodates a spacious master bedroom suite with ensuite bathroom, four additional bedrooms, a large, five-piece family bathroom, and a convenient laundry room. This beautiful, quality home is well landscaped and has exceptional curb appeal. 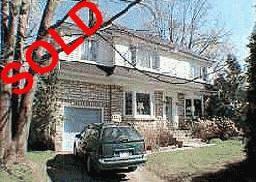 A change in the owners' plans creates a great opportunity to purchase a Rockcliffe Park residence in move-in condition. This is a rare waterfront property in beautiful Rockcliffe Park. Located on a 13,400 sq. ft. waterfront lot, this four-bedroom home has curb appeal, beautifully landscaped grounds, and overlooks "The Pond" with all the lovely views that entails. The impressive foyer and principal rooms are grand in scale with 10-foot ceilings, hardwood floors and two fireplaces, making this home great for entertaining. A wonderful granite gourmet kitchen with centre island, spacious main-floor family room, and den complete this exceptional family home. The large master bedroom is located privately away from the family bedrooms, and features a double entry door, large walk-in closet, new hardwood floors and a sophisticated ensuite bathroom. The second floor landing and hallway features new hardwood floors. Views of exceptional foliage are available from all principal rooms including the master suite. 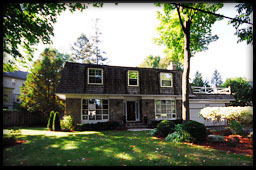 The basement is fully developed with a billiards room, family room and den. Beautiful gardens, interlocking driveway and a three-car garage complete this exceptional offering. Lot Size: 14,250 sq. 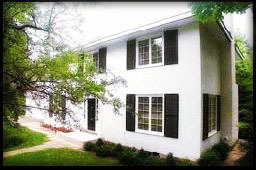 ft.
ROCKCLIFFEPARK.COM EXCLUSIVE LISTING! Situated on a quiet street in the Old Village of Rockcliffe Park, this outstanding residence offers grand entertaining and reception rooms in a state-of-the-art renovation. 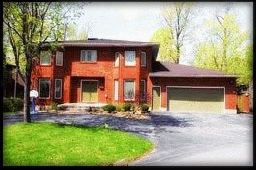 This beautiful home was renovated in 2000/2001 to the highest standards of quality and craftsmanship. It comprises grand foyers, fabulous entertaining space, two family rooms, an ultra-private master bedroom suite, five bedrooms, four ensuite bathrooms, and two powder rooms. Interesting space abounds in this beautiful home. A custom cantileved staircase leads to the second floor, which simply cannot be described in words. The gourmet Downsview kitchen features a terracotta floor, six-burner Garland stove with convection oven and infrared broiler, Sub-Zero refrigerator and Miele dishwasher, washer and dryer. Architectural details include three fireplaces, an 18-foot ceiling and curved wall in the reception room, dining room wainscotting and mouldings, original brick accent walls, halogen lighting, and numerous French doors leading to the gardens and pool area. A Mediterranean-style courtyard completely encloses the newly-refinished 34 ft. x 16 ft. flagstone-surround pool. The back garden features beautiful landscaping around a wrought-iron gazebo. The attached double garage offers the possibility of adding staff quarters if required, increasing the flexibility of this exceptional property. This beautifully renovated two-storey family home is perfect inside and out. 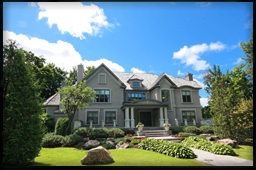 It is located in a jewel location in the Old Village of Rockcliffe Park and offers curb appeal, beautifully landscaped south-facing gardens, and interior perfection. The main floor has a lovely screened sun room off the living room, spacious kitchen, and family room with fireplace off the kitchen. The dining room is elegant - perfect for formal entertaining. The second floor master bedroom suite is spacious and opens via double French doors onto a balcony overlooking the gardens and mature trees beyond. The master ensuite bathroom is bright and airy, and the master suite features a large walk-in closet with window. The bedrooms are spacious and enjoy access to an exceptionally large family bathroom. All principal rooms offer beautiful views of the gardens and surrounding foliage, giving a sense of openness and privacy. 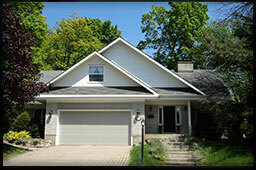 A double attached garage and partly finished basement with recreation room complete the picture. Lot Size: 90.00 ft. x 114.76 ft.
An elegant grand pergola will entice you into this one-of-a-kind, stately, all-brick, Colonial-style home. Located on a desirable street in the heart of the Old Village of Rockcliffe Park, this fabulous family home is a short walking distance to both Ashbury College and Elmwood School. This spacious home is perfect for family living with 9-foot ceilings throughout, double door entrances to many rooms and impressive foyer. The current owner has transformed this lovely traditional home, and it now offers space, privacy and elegance. Entering through the dramatic two-storey foyer with grand staircase, you will note that the principal rooms and layout lend themselves to entertaining on a grand scale. Nine-foot ceilings throughout, beautiful moldings and baseboards, four fireplaces and lots of architectural detailing make this an exceptional, beautifully- updated residence. The chef’s kitchen was recently renovated and now has a fabulous, oversized granite centre island, stainless steel appliances, ceramic floor and built-in desk. Both front and back staircases lead to the spacious second-floor living areas. With four-plus bedrooms, six bathrooms, a terrific second floor laundry and ample closet and storage space, this home will afford even a large family amazing privacy. The master bedroom suite has both southern and western exposures, a beautiful fireplace, and “His” and “Her” closets and bathrooms. There are three additional spacious bedrooms on the second floor, two with ensuite bathrooms and one with an extra entrance for third bedroom access. There are two large landing areas that may be incorporated into the functional plan - one tucked away at the end of the main circular staircase and the other located at the top of the back staircase. The latter is currently used as an open area for computer stations. The basement is fully finished and boasts a large guest room, four-piece bathroom, kitchenette with eat-in area, billiards room, playroom, and wine cellar. Two work areas are tucked away beyond closet doors – perfect for a desk, crafts station or play area. The gardens are beautifully landscaped and very private due to the lovely mature hedges. The heated pool is gunite, built by Benson and comes with a new safety cover. The pool area features a built-in bench storage area, beautiful patio areas in interlock and enjoys both southern and western exposure. Off the family room there is a wonderful screened-in sun porch that overlooks the pool and gardens - the perfect unwinding spot for the whole family! This beautiful two-story home is situated on a quiet street in the Old Village of Rockcliffe Park. 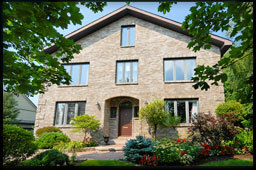 Quality built by Terranova, this residence is approximately 10 years old and shows as new. It features high ceilings, cherry and oak floors, georgeous mouldings, French doors, two fireplaces, lots of closet space and a large mud room. The Downsview centre island kitchen sparkles with granite and enjoys an adjacent family room. This beautiful, quality home is well landscaped and has exceptional curb appeal. Lot Size: 9,140 sq. ft. This designer-perfect four-bedroom home is simply spectacular! 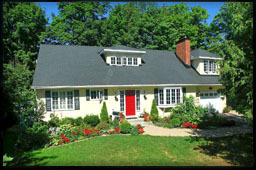 Warmth and character abound; curb appeal is exceptional. This delightful home is located on a very quiet corner in the Old Village of Rockcliffe Park, within walking distance of the local schools. There are gorgeous vistas from all rooms. The main floor has a large family room with lovely custom cabinetry, a study and a generous mud room. This home is perfect for family living and at the same time lends itself to entertaining. The sophisticated custom kitchen features the latest appliances including a warming oven, trash compactor, pot filler and Miele cappucino maker. A wonderful deep bay window with southern exposure and a skylight flood the kitchen with natural light. The house has hardwood floors, French doors, and a newly-built screened-in sun porch overlooking a tranquil water feature. The bathrooms are designer-perfect! The fully finished basement has an open-concept bedroom/family room along with a kitchenette and beautiful bathroom. This spectacular home is a jewel in every sense of the word. Located on an enormous 18,000 sq. 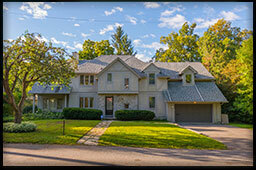 ft. lot in the the heart of the Old Village of Rockcliffe Park, this property can only be described as outstanding. The house is impeccably detailed, includes all amenities, and is in mint condition. The modern kitchen and elegant dining room open to a large deck overlooking the large, private back garden. The flow within the house and to the garden is perfect for both family living and sophisticated entertaining. This beautiful property simply has to be seen! 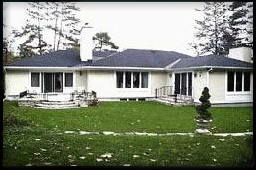 This spacious bungalow offers a main-floor sunroom, den, and master bedroom with beautiful ensuite bathroom. The lower level walk-out has three bedrooms, a beautiful family room with copper-hooded fireplace, and opens to the large, private garden with swimming pool. 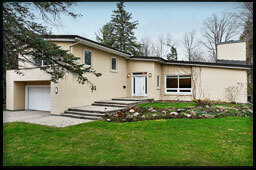 This home is well-situated in the Old Village of Rockcliffe Park. It is well set back from the road and enjoys a circular driveway, two-car garage, and its own gate to the Rockcliffe Park Lawn Tennis Club. Designer details abound in this fantastic four bedroom Rockcliffe Park home. 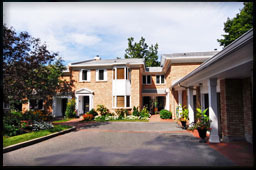 Built in 2008, the private development at Black Maple was named the 2009 Housing Project of the Year by the Greater Ottawa Home Builders’ Association. Floor to ceiling windows allow natural sunlight to flow throughout this elegant space that has been meticulously cared for and requires no upgrades. A well-sized vestibule with beautiful Travertine marble floors opens through double glass doors to the open-concept living room and dining room. The living room is warm and inviting and features two sets of French doors that open to a spacious balcony. An elegant fireplace is the focal point of the space. Leading to the breathtaking kitchen and family room, there are two closets for guests and a powder room with marble floors. Contemporary lighting, honed granite counters and contrasting marble on the island compliment the white cabinetry and stainless steel appliances in the kitchen. A gas fireplace with a floor to ceiling travertine marble chimney adds drama to the family room. There are French doors that lead to the balcony and garden. On the second floor, there are three bright bedrooms, afamily bathroom and a fantastic laundry room with cabinetry, laundry sink and LG appliances. The romantic master suite features his and her separate walk-in closets, a luxurious ensuite bathroom with a beautiful, soaking tub, double vanity with quartz counters, and a glass shower. The herringbone pattern in the centre of the marble floor is echoed in the floor of the shower and complimented by crisp subway wall tiles. The fourth bedroom is found in the basement. 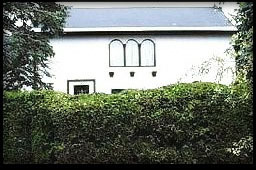 It has a large window that looks onto the back garden and is adjacent to a four-piece contemporary bathroom. The study is also found in the basement and is well-sized. This designer perfect property is not to be missed. Lot Size: 100 ft. x 121 ft. This is a spectacular, custom-built stone manor house with great rooms, granite kitchen, and hardwood floors throughout. The ceilings are nine feet throughout and 18 feet in the living room! Other features include huge walk-in closets, a playroom, and a nanny suite. The gardens are beautifully landscaped and include a patio and pool. 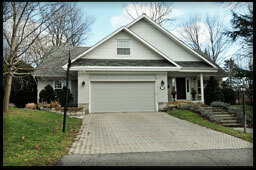 This property is located in the New Village of Rockcliffe Park near Mile Circle. Lot Size: 140 ft. x 99 ft. This newer construction home is located in a jewel of a location in the Old Village of Rockcliffe Park. Among its numerous architectural details are 9-foot ceilings, hardwood floors, and 10-inch wood mouldings. 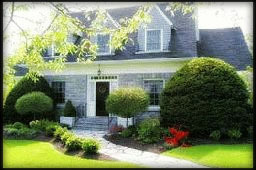 It has numerous desirable features including a granite, centre-island kitchen, main-floor family room, wood panelled den with vaulted ceiling, and basement recreation room. A deck gives access to the beautifully treed lot. The garage is detached, accommodates two cars, and has a large storage area above. Lot Size: 189.9 ft. x 135.0 ft. 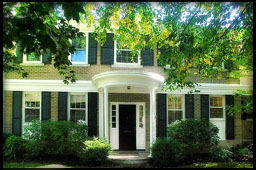 This completely renovated, elegant Georgian-style brick three storey enjoys a prominant location in the heart of the Old Village of Rockcliffe Park. It has tremendious curb appeal with its landscaping and circular driveway. There are high ceilings on the first and second floors, and the large living room is wonderful for entertaining. There are hardwood floors throughout, a 1.5 car garage, and beautiful gardens. Classic design throughout! This home is a jewel in every sense of the word. Curb appeal is exemplified by this residence, which is located prominently in the heart of the Old Village of Rockcliffe Park. The impeccable interior must be seen to be appreciated as it exceeds even the expectations set up by the exterior. The lot is large and invites creative landscaping. This property is simply exceptional! Lot Size: 29,475 sq. ft. This wonderfully spacious 5-bedroom home is situated on an enormous 29,475 sq. 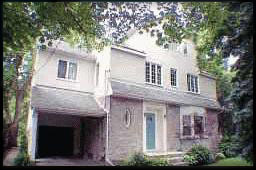 ft. lot on a quiet cul-de-sac in the New Village of Rockcliffe Park. This home is perfect for entertaining with huge principal rooms with 9-foot ceilings and large windows. It is also suited to family living with main floor study and family room. Views through all windows give the impression of being in a country setting. The balcony off the master bedroom affords a view of McKay Lake. Lot Size: Approx. 13,700 sq. 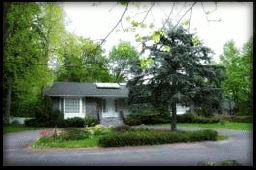 ft.
ROCKCLIFFEPARK.COM EXCLUSIVE LISTING! This elegant, classic Rockcliffe Park residence is situated in a desirable location in the Old Village. It offers beautiful architectural detailing, including hardwood floors, cove ceiling, and deep window sills. The room sizes are generous - suitable for both family living and entertaining. This property has mature foliage and a beautiful, screened-in sunporch and deck. This 29,475 sq. 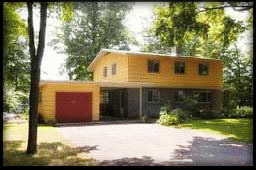 ft. property overlooks beautiful Mackay Lake to the west and is bordered by treed conservation land to the north. Located in the Village of Rockcliffe Park, this generously-sized lot has great potential as a building lot. The current home has 9ft. ceilings throughout and spacious room sizes. Build new overlooking McKay lake or imprint your own style! Lot Size: 73.87 ft. x 129.43 ft. This wonderful five-plus-bedroom home is located just steps from Ashbury College. With a lovely brick exterior, this charming home enjoys the sun all day long with its western and southern exposures. There are five bedrooms and three bathrooms on the second floor and an additional bedroom with new bathroom in the basement. The romantic master bedroom suite has a cathedral ceiling, French doors and a fireplace. The home has four fireplaces in all. The main floor is bright and features French doors, hardwood floors and a heated ceramic floor in the sunroom. For entertaining there is a delightful butler's pantry and a charming, bright, European-styled kitchen with centre island and fireplace. Lot Size: 88.82 ft x 100.00 ft. Situated in the Old Village of Rockcliffe Park-only steps from Ashbury College, this stylish Cape Cod was completely renovated, including an addition, in 2000. The renovation included a new master suite, granite galley kitchen, main floor family room with a gas burning fireplace, custom built-ins, and access to the south facing private garden and pool. There is also a main floor study with a beautiful new ensuite bathroom and sauna. 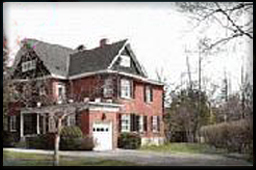 The second floor has four bedrooms, an open computer room, and a glorious master suite with romantic balcony. The ensuite bathroom is sophisticated, and includes a corner soaking tub, bidet, marble counters, and beautiful hardware. This well planned home has a conveniently located second floor laundry room along with a second serious laundry room in the basement. This home was designed for ease of family living! The basement is perfect for the whole family and has a spacious billiard room, gas fireplace and wet bar. There is also an additional bedroom and new bathroom that may be accessed via its own entrance. The seriously-sized laundry room is located in the basement. It is great space for parkas and skis in the winter and towels from the pool in the summer. The separate entrance to the basement is wonderful for summer entertaining around the south-facing swimming pool. No need for a pool house here. This home, with its new windows, is extremely bright and spacious. It is located on a very quiet street in the Old Village. It is an absolute surprise inside and offers wonderful living for a busy family. There are hardwood floors throughout, three fireplaces, granite and marble countertops, well designed bathrooms, and most principal rooms face south. There is a deck off the kitchen and an interlocking pathway around the house. This special property is rich in history having enjoyed the same owners for 65 years. The Graham Family home is situated prominently on a high knoll overlooking McKay Lake, and offers beauty and a sense of place in the Village of Rockcliffe Park. This significant three-story residence is one of only a handful of stone homes in the Old Village. It offers six bedrooms, four bathrooms, a modest kitchen, a main floor library, a screened-in porch and an attached double garage. 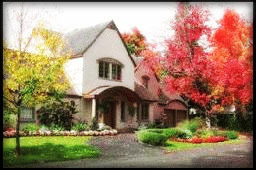 With majestic views of beautiful McKay Lake changing with the seasons, it is prestigiously located in the Old Village within walking distance of the Community Center, Rockcliffe Park Lawn Tennis Club, Elmwood School, Ashbury College and Rockcliffe Park Public School. Perfect for restoration or creating your own style. Lot Size: 13,750 sq. ft. 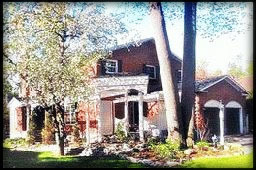 This is a charming, elegant, two-storey home situated on a quiet cul-de-sac in Rockcliffe Park. 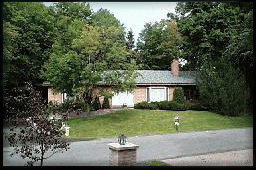 It is ideally located, being steps from The Pond, Mackay Lake and the nature preserve. 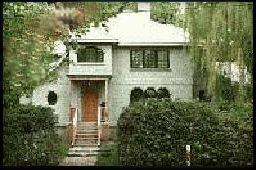 It has great curb appeal and at the same time, privacy from the already quiet street. This beautiful home has a feeling of warmth and traditional elegance. The well-sized foyer gives glimpses of the lovely décor. There are five sets of French doors on the main floor and beautiful, wide-plank hardwood floors; terracotta tiles and wainscoting add to the ambiance. The kitchen is wonderfully bright and features a granite counter with seating. There is a main-floor family room and a bright, east-facing solarium. The living room is spacious with lovely architectural details. Additionally, there is a main-floor laundry room for convenience. The master bedroom has a double-door entry, a romantic, west-facing balcony, walk-in closet and ensuite bathroom. The basement is finished with a cozy family room with brick fireplace, extra bedroom, two-piece bathroom and two cedar closets. 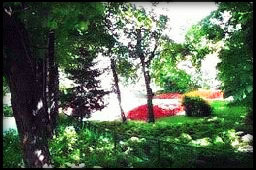 The garden is fenced, nicely landscaped and has an interlocking walk-way. There is a small deck off the back, and a two-car attached garage. Lot Size: 16,500 sq. ft. 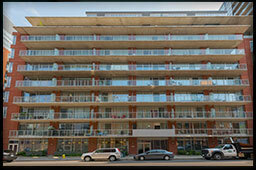 Situated on a prominent 16,500 sq. ft. corner lot on Acacia Avenue, this six-bedroom home is light and airy throughout. 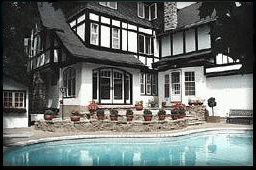 It has classic architectural detailing, generous room sizes and an indoor pool. This Old Village location is within walking distance of the local schools. This home has spacious rooms and lots of family space throughout. There is a main floor study, family room, main floor bedroom and large living room with a wood burning fireplace and hardwood floor. The main floor also has a a three-piece bathroom with sauna. This home enjoys both southern and western exposure and is full of light all day long. The basement is finished and has a sauna. The indoor pool has skylights and windows to the south and west. This property has lots of potential. Why not imprint your own style? Lot Size: 102 ft. x 108 ft. This wonderful Old Village four-bedroom home is just steps from Ashbury College, Elmwood School and Rockcliffe Park Public School. A classic Rockcliffe Park family home, it features granite, hardwood floors and a spacious master bedroom suite with a balcony and bright ensuite bathroom. 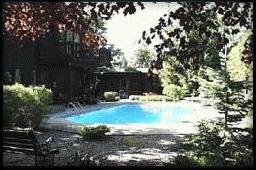 The family room is adjacent to the kitchen and opens to a very private, well-treed garden with a lovely pool. The basement is finished and features a great playroom. 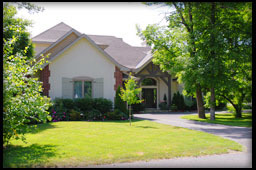 A circular driveway and mature landscaping provide curb appeal. Lot Size: 108 ft. x 117 ft. This exceptional residence is set amongst mature trees and enjoys spectacular south-facing views. With an open-concept, spilt-level design, it features four bedrooms, study, and family room with fireplace. Among its architectural details are included 12-plus foot cathedral ceilings and a 40-foot balcony. The perennial gardens are immaculate and designed for low maintenence. A well-sized pool is accompanied by its own pool house. Lot Size: 18,075 sq. ft. 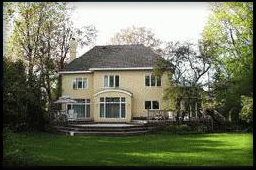 The magnificent, custom designed and built home overlooks McKay Lake in beautiful Rockcliffe Park. 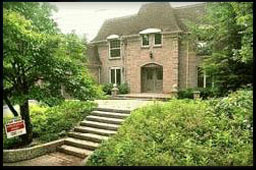 It has five bedrooms, five bathrooms, study, family room, sun room and large exercise room. The spectacular 42' by 20' indoor pool has a hot tub and cathedral ceiling. Lot Size: 100.00 ft. x 142.94 ft. This charming two storey home is tucked away discretely on a quiet cul-de-sac in the Old Village, just steps from beautiful Mackay Lake. With a centre hall plan, it is perfect for family living as well as for entertaining. The living room has a traditional fireplace with limestone hearth. There is a main-floor study and a lovely sunroom located off the kitchen. The kitchen is all white, has great built-ins and a banquette seating area. Flooring is hardwood throughout, and there is a second-floor study area. A French door leads from the kitchen to the large, bright garden featuring a superb flagstone terrace and concrete pool. This spacious and elegant home is advantageously located on a quiet street in the Old Village of Rockcliffe Park. The exterior is brick and the interior space is simply exceptional. A large foyer and grand staircase complement the large principal rooms, which are perfect for entertaining, and set the mood for the entire home. With four lovely bedrooms, this home also lends itself to great family living as there is well thought out space for everyone. The large centre island kitchen has double ovens and and a butler's pantry plus plenty of storage space. There is a convenient backdoor mudroom. The master bedroom suite features a beautiful marble fireplace and his and hers private ensuite baths with dressing rooms. This elegant home is situated on a south-facing lot with mature landscaping including a well preseved hedge that protects the pool and screened-in sunporch. The large, finished basement includes a recreation room, playroom and nanny suite with a bathroom. EXCLUSIVE ROCKCLIFFEPARK.com LISTING!!! This wonderful four-bedroom family home is really amazing! It sits on a 13,580 sq. ft. corner lot in the Old Village. It has everything from a centre island kichen with adjacent family room to a solarium with skylights. Its interesting architecture shows a rich Mediterranean influence. The spacious living room has palladium windows, hardwood floors and is perfect for entertaining. There are four bedrooms off the large, bright second-floor landing. The spacious master bedroom features a romantic west-facing balcony, huge ensuite bathroom with private watercloset and a fabulous 17-foot walk-in closet. The architectual theme continues to the fully finished basement, where arched doorways and lovely door handles enrich the character of this beautiful home. 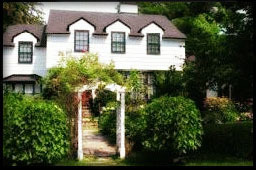 There is a nanny suite with bathroom, a playroom, and a large, efficient laundry room. Mature landscaping, a west-facing pool, and a circular driveway imbue this desirable property with great curb appeal. Lot Size: 16,021 sq. ft. 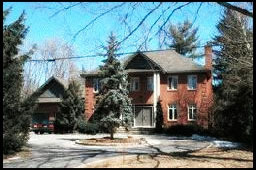 This desirable property is located in the heart of the Old Village of Rockcliffe Park, across from extensive parkland. In addition to the location, this is also a rare Rockcliffe Park bungalow with 9-foot ceilings throughout. This residence features a large living room, spacious formal dining room, and kitchen with adjacent eating area and family room. The family room has doors to deck and private garden. There are four bedrooms and three full bathrooms. The home is in move-in condition and has nice architectural detailing including skylights in the main foyer. The spacious, fully-developed basement enjoys a large T.V. 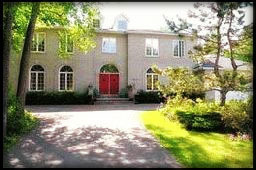 area, billard table, nanny suite plus bath, and large wet bar/party room with doors that access the back garden. There are two basement entrances, one from the garage area - great for storing sports gear. The gardens are beautifully landscaped with mature foliage and a privet hedge. This property has great curb appeal with a circular front driveway discretely shielded by a magnificent weeping willow tree. Lot Size: 130 ft. x 174.5 ft. 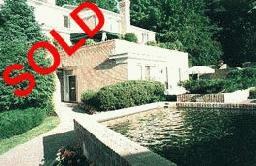 This is an "empty nester's" retreat located on Rockcliffe Park's prestigious Embassy Row. Bungalows are hard to find in Rockcliffe Park, and this exquisite example offers an alternative to condominium living right in the heart of the Old Village. Situated amid stately ambassadorial residences and beautiful homes, this bungalow showcases the finest craftsmanship and design throughout. It has two bedrooms with ensuite bathrooms, hardwood floors, state of the art electronics and staff quarters. Lot Size: 26,700 sq. ft. 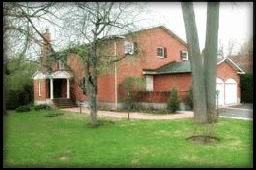 This is a unique building lot in the Old Village of Rockcliffe Park across from Ashbury College. It enjoys magnificent parkland views. 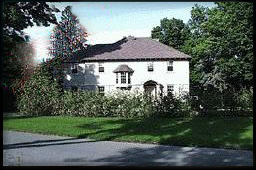 The property is priced for LAND VALUE, and a DEMOLITION PERMIT for the three-storey residence has been issued by the Village of Rockcliffe Park. The lot is 26,700 sq. ft. with 170 ft. frontage by a depth of 150 ft., and is irregular. Lot Size: 163.67 ft. by 101 ft. Exceptional Location in the Old Village of Rockcliffe Park! This stately stone Tudor residence enjoys a prime location in the Old Village on an approximately 16,530 sq. 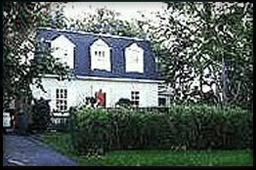 ft. lot and is surrounded by Stornaway, Elmwood School, and other prominent ambassadorial residences. It has tremendous curb appeal with a circular driveway and large, private garden located behind a mature hedge. 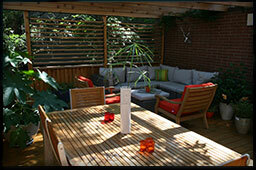 The large (30 ft. by 27 ft.) deck is perfect for outdoor entertaining. 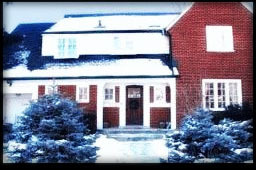 This home has five bedrooms, six bathrooms, hardwood floors, two fireplaces and a double garage. The scale of the principal rooms is suited to both family living and entertaining. 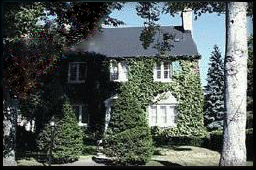 The lot is exceptional because it has both southern and western exposures and the hedged garden faces west. This is a rare opportunity for those who wish to create their own style in a classic Rockcliffe Park home in a most desirable location. Lot Size: 8058.6 sq. ft. This outstanding home is in mint conditon. A jewel, this mansard-roofed five-bedroom home is warm, inviting, and ideally located in the Old Village of Rockcliffe Park just steps from Ashbury College and Elmwood School. The large, irregular lot has 165 feet of frontage and although it narrows in the back there is plenty of room for a south-facing pool. 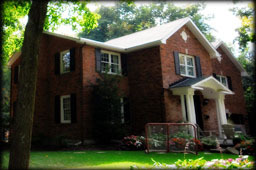 The basement offers a family room and large unfinished recreation room. This home has been renovated and has a high-efficiency gas furnace system with central air conditioning and a two year-old cedar roof. It has lovely architectural touches throughout such as crown mouldings, wainscotting and charming window seats in all the bedrooms. This home is exceptionally bright and sunny. It features beautiful bay windows in both the living room and dining room, French doors, bleached oak floors and granite countertops in the renovated kitchen and bathrooms. The kitchen overlooks a lovely fenced side garden with southern exposure and mature foliage. The 165-foot frontage allows for many possibilities. This home is in superb condition! WONDERFUL FAMILY HOME WITH WALK-OUT BASEMENT! Lot Size: 9,840 sq. ft. 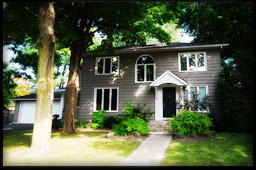 This lovely Rockcliffe Park home is perfect for a growing family. Take advantage of a change in the owner’s plans to obtain a largely-renovated, spacious family home in the New Village. A short walk can find you bathing in The Pond or strolling around Mackay Lake and the nature preserve. A tour of this residence starts from the ground up. The walk-out lower level has been renovated to provide a fabulous recreation space. It comprises a large recreation room with gas fireplace, wet bar with refrigerator, halogen lighting, and access to a covered, ground level sitting area. The adjacent family room has halogen lighting and an exterior door and the fitness room has wall-to-wall carpeting and a mirrored wall. There is something for every member of the family, regardless of age. The well-organized laundry room accesses both the garage and main level. A bedroom with two-way bathroom – perfect for a teenager or nanny - completes the lower level. The generous foyer with shining hardwood floors opens to a lovely, curved staircase. Hardwood floors continue throughout the main level. The living room has southern exposure and halogen lighting. The dining room also faces south and has a chandelier and halogen lighting. The kitchen has a granite countertop, updated appliances, hidden cabinet lighting and three light fixtures. The adjacent family room has a gas fireplace with slate surround, halogen and recessed lighting and doors to the deck. The main floor is completed by an office and computer room with private entrance. The second floor has not yet been updated due to the change in the owner’s plans, leaving the new owners free to imprint their own style. It comprises a large master bedroom with wood-burning fireplace and three bright windows. The ensuite four-piece bathroom has a linen closet and vanity lighting. Four additional bedrooms and a five-piece family bathroom complete the second floor. 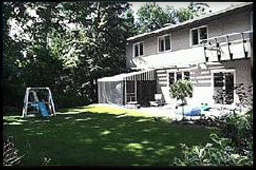 The property has been landscaped extensively to give a private, fenced back yard. 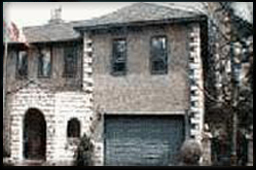 Exterior brick columns, a circular driveway and attached two-car garage complete the picture. The private lanscaped back yard includes a large playsturcture and an automatic irrigation sytem. Lot Size: 80 ft. x 130 ft. Situated in the Old Village of Rockcliffe Park, this five-bedroom family home is bright and full of light. The main floor features a large master bedroom suite with walk-in closet and spacious ensuite bathroom with jacuzzi. The master suite overlooks the garden. The galley kitchen and beautiful breakfast room look out on the private yard. A family room and laundry complete the main floor. There are four bedrooms and two bathrooms on the second floor. The perennial gardens are gorgeous! This wonderful open-concept four-bedroom home is bright and airy! It features a main floor study, family room, and laundry room, and hardwood floors throughout. The large master bedroom suite has a romantic balcony, fitness room and a spacious, five-piece ensuite bathroom. A double garage and beautiful landscaping complete the picture. This is a real Rockcliffe Park find! Lot Size: 104.95 ft. x 83.78 ft. This charming Cape Cod home is located centrally in the Old Village of Rockcliffe Park, only a short walk from the local schools and the Rockcliffe Park Community Centre. It has tremendous curb appeal and amazing gardens. This four bedroom home is bright and airy, and has hardwood floors throughout. It has a galley kitchen with eating area opening to a large, west-facing deck and on to the beautiful back garden. The foyer opens to a lovely living room with fireplace and a bright dining room, and there is also a main-floor family room. The four bedrooms are on the second level. The master bedroom suite is large and bright, and these qualities are reflected in the other bedrooms. The basement is fully finished with a large recreation room complete with brick fireplace, a spacious laundry room, and lots of room for storage. There is a two-car attached garage. This charming home shows pride of ownership and is in move-in condition. It is beautifully landscaped and its location could not be better. This is a wonderful opportunity to acquire a home with a beautiful south-facing garden in the Old Village of Rockcliffe Park. This 10,000 sq. ft. corner property is light and private. The established perennial gardens enclosed by mature hedging ensure tranquility. The main-floor rooms are bright; the living room and family room both enjoy fireplaces, and the kitchen, living room and dining room all have views of the lovely garden. For larger families, the second floor can be expanded over the garage. The location simply could not be better, within walking distance of local schools, Mackay Lake, nature trails, tennis club, and community centre. This meticulously-maintained home awaits your personal touch. Lot Size: 80.00 ft. x 163.70 ft. Situated on prestigious Park Road in the Old Village of Rockcliffe Park, this five-bedroom three-story home is rich in charm and character. This residence has just been been completely renovated! Among its many features are a main-floor study, refinished hardwood floors, and classic architectural details throughout. The newly-renovated basement has French doors, a playroom, and a nanny suite with bathroom. An enormous back lot is south facing and offers scope for landscaping to afford exceptional privacy. Lot Size: 60 ft. x 250 ft. This classic, elegant three-storey residence is situated on a gorgeous, 15,000 sq ft. lot in the Old Village of Rockcliffe Park. This home offers six bedrooms, four bathrooms, study, screened-in porch, hardwood floors, leaded windows, grand staircase and lovely architectural details throughout. This is a spectacular lot with a pool. Lot Size: 147.41 ft. x 86.22 ft. This lovely contemporary split-level, four-bedroom home in Rockcliffe Park is only steps from The Pond and beautiful parkland. This home is open and airy, with cathedral ceilings and large principal rooms. It has been completely renovated and features large main-floor living space including a superb, spacious Great Room/living room with a wonderful fireplace. The kitchen is very bright, has a skylight, and opens to a wonderful family room and main floor study. The second-floor master bedroom suite is gorgeous, very private and very spacious - a calm and relaxing retreat. It features a large walk-in closet and five-piece ensuite bathroom. There are also a second bedroom and family bathroom on this floor. Two additional bedrooms and a bathroom are located on the lower level. These rooms are very bright. The basement is unfinished and there is an attached double garage. The large front and back gardens enjoy wonderful light conditions all day. This home is in mint condition and a rare find in Rockcliffe Park. Lot Size: 10,720 sq. ft. This fabulous three-storey brick home features five bedrooms, gorgeous bathrooms, a huge master suite and many built-ins. There are designer touches throughout including a "tin ceiling" kitchen, black granite foyer, beautiful crown mouldings, and large fitness room. It also has a nanny suite. The property overlooks a well-treed seven-acre estate and has views of McKay Lake. Lot Size: 198 ft. x 124 ft. This is a wonderful, open-concept bungalow whose cathedral ceilings and large windows give it a feeling of light throughout. Situated on a desirable cul-de-sac in the Village of Rockcliffe Park, this home offers a great kitchen with access to deck, beautiful living room with palladium window and fireplace, large dining room with cathedral ceiling and palladium window, and three bedrooms including a spacious master bedroom on one floor. The basement is fully developed, having a gorgeous billiards/games room with large wet bar and an additional bedroom with fireplace. Features include a bay window, central air conditioning, beautifully landscaped gardens, screened-in porch and an attached double garage. This home is located on a 15,000 sq. ft. lot that includes treed land to the south of the property, ensuring privacy. Lot Size: 109.59 ft. x 100.00 ft. This is a charming, four-bedroom home with centre-hall plan. It has good light, hardwoord floors, and living room fireplace. This home has great curb appeal, its interior is a delight, and it shows exceptional pride of ownership. FAMILY HOME ON MAJESTIC LOT! Lot Size: 144.44 ft. x 80 ft. This wonderful family home is full of light and offers fantastic well treed vistas from all windows. The superb conrner lot is magnificent and has many mature trees, beautiful landscaped gardens and enjoys southern exposure. 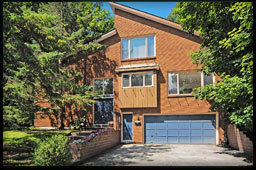 This great family home is situated on a quiet street in Rockcliffe Park steps from the park. With 3+ bedrooms and 4 bathrooms this home offers majestic views throughout. The room sizes are generous. Many upgrades have been done by the current owners including installing hardwood floors and a new gorgeous, gourmet, granite kitchen with a lovely breakfast room. The main floor family room is tucked away and surrounded by beautiful views overlooking the wide 144 ft front lot. There is a bright breakfast room with access to the south-facing garden. 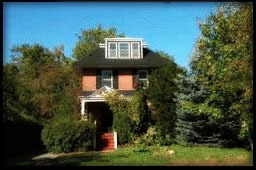 The second floor has a large, bright master bedroom with hardwood floors and an ensuite bathrooom. There are two other very spacious bedrooms along with a second floor family room accessed by the back staircase off the kitchen. This home offers great family living with privacy for everyone! The basement is very bright with deep south-facing windows, a fireplace and a wet bar. There is a three piece bathroom and a separate laundry room. The basement is wonderful family space and very inviting. There is also a double attached garage with access to a mud room entrance. 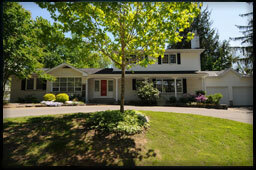 The house sits on a beautiful private corner lot in the Village of Rockcliffe Park. There are large, majestic trees on the property and it is one block from the park. Lot Size: 13,700 sq. ft. 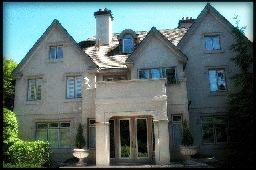 This elegant, classic Rockcliffe Park residence is situated prominently in a desirable location in the Old Village. Among its many features are beautiful architectural detailing, hardwood floors, cove ceiling and deep window sills. The room sizes are generous and there is a screened porch and deck. Lot Size: 19,021 sq. ft. 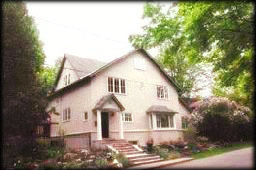 This warm and inviting 5-bedroom home is ideally located in the Old Village of Rockcliffe Park close to all schools. The large 19,021 sq. ft. lot has 165 ft. of frontage with mature foliage. The home has been completely renovated. It has numerous architectural touches such as crown mouldings, wainscotting, and deep window seats. The roof is being redone. This home is bright and sunny, warm and inviting. 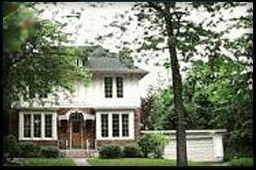 It has lovely bay windows, French doors, bleached oak floors and granite countertops in the kitchen and bathrooms. The kitchen overlooks a lovely fenced side garden with southern exposure. This home is in absolutely mint condition, ready to move in. Lot Size: 85.90 ft. x 139.10 ft. This is a wonderful family home situated in the Old Village of Rockcliffe Park. 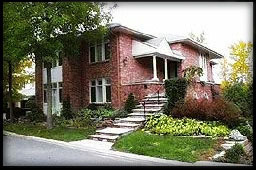 It is within walking distance of the local schools, community centre, library, skating rinks and tennis courts. Currently this home has 7 bedrooms but with minimal modification it could have a large master bedroom with a spacious ensuite bathroom at one end and a walk-in closet at the other. This would reduce the number of bedrooms to four. The main floor has a spacious vestibule and foyer that open to a study with a wonderful open fireplace and southern exposure. The living room is also south facing, spacious and features built-in display shelves. The living room opens to a second sitting room and/or dining room. The galley kitchen has a walk-in pantry and eat-in area. From the kitchen French doors open to a dining room/family room with a brick fireplace and hearth. This wonderful room has sliding doors to a bright deck and beyond to the garden. There is a convenient storage shed for gardening items. The basement is a surprise with its nanny suite, bathroom, sauna and recreation room with a wet bar. 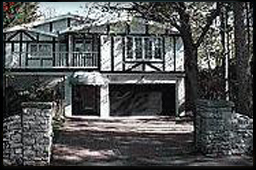 The home also has a two-car garage and a circular driveway. This beautiful four-bedroom home is simply superb. Among its numerous features are a centre island granite kitchen opening onto a family room with fireplace, and elegant living room with feature fireplace. Hardwood floors, sophisticated black granite accents and detailed architectural mouldings throughout give a hint of the refinement this gorgeous house offers. Lot Size: 99 ft. x 110 ft. This recently-renovated three-storey home is located in the heart of the Old Village of Rockcliffe Park. It features charming architectural details throughout, beautiful hardwood floors, built-ins and fireplaces. The living room has a large bow window giving to the street and an adjacent sitting area opening onto a flagstone-surrounded pool and private gardens via double French doors. The dining room, kitchen and second-floor master bedroom all have views of the sophisticated garden and pool area. This lovely home has recently undergone extensive renovation and is in move-in condition. 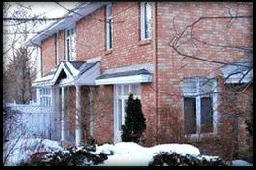 The location could not be better as it is situated within walking distance of all Rockcliffe Park schools. Lot Size: 11,930 sq. ft. This stately and elegant six-bedroom Tudor residence is situated discretely behind a magnificent hedge in the Old Village of Rockcliffe Park. The property has been landscaped professionally. With southern exposure, 55 windows and nine-foot ceilings on the main floor, this classic home has exceptional light. Numerous architectural details, two fireplaces, and hardwood floors on the first and second floor contribute to the ambience. The kitchen has been renovated and features bleached oak cabinetry and a bright eat-in area. With windows on three sides, the main-floor sunroom/family room offers many possibilities. The third floor has beautiful living space and a large landing. If you are looking for Old World Rockcliffe Park elegance, you will find it combined with exceptional family living space in this house. Lot Size: 150 ft. x 95 ft.
A newly-built home on a 14,000-plus square foot lot in a jewel of a location in the Old Village of Rockcliffe Park. This exceptional home offers nine-foot ceilings, hardwood floors, marble bathrooms, beautiful wainscoting and crown and baseboard mouldings. The spectacular centre-island granite kitchen has an adjacent family room on one side and opens onto a private deck on the other. The entry hall is spacious and adjoins a beautiful, wood-paneled, vaulted-ceiling study. Four bedrooms, large walk-in closets, and an exceptional recreation area and billiards room in the basement complete this outstanding offering. This condominium townhouse must be considered a rare opportunity for those looking to live in Rockcliffe Park. 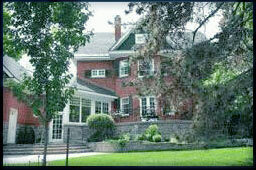 It is located at the confluence of Mackay Lake and the Pond and enjoys its proximity to both attractions. With five bedrooms and four bathrooms, this elegant townhouse offers space for entertaining, family living and a prestigious address. This bright, airy home is characterized by elegant and sophisticated décor including two fireplaces, hardwood floors and many architectural details. The kitchen has been updated and the main floor offers a study and beautiful living and dining rooms. 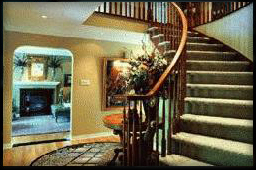 A graceful, curved staircase leads to the second floor with its four bedrooms. The master bedroom has an ensuite bathroom with his and her sinks, glass shower and large jet tub. The fifth bedroom with ensuite bathroom is located in the walk-out lower level. The sense of indoor-outdoor living is enhanced by three separate garden areas and lovely views of the Pond from the master bedroom. There is a balcony off the living room overlooking the lake, a patio off the dining room and a covered terrace off the walk-out basement. This exceptional property simply has to be seen. 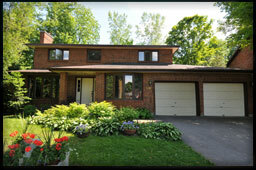 This home is tucked away in a great location on a unique cul-de-sac in the Old Village of Rockcliffe Park. It will appeal to a client interested in imprinting his or her own style on a delightful Rockcliffe Park location, either by renovating the property fully or building new. The lot is 86.42 feet by 118.27 ft and has full western exposure. This is a wonderful opportunity to create your family's dream property. Lot Size: 85 ft. x 135 ft. This is a wonderful opportunity to build or renovate on a south-facing, 11,500 sq. 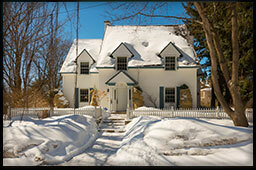 ft. lot situated in the heart of the Old Village of Rockcliffe Park. The owner of this four-bedroom, two-bathroom home has just installed a new granite-floor kitchen with cabinets and a granite entry floor. Why not imprint your own style? This property offers a unique opportunity to renovate or build in a superb location. Exceptional Guy French renovation. This 2-storey has curb appeal, a great location in the Old Village of Rockcliffe Park, and is completely renovated. It is in move-in condition and is perfect for both family living and entertaining. The back yard is beautifully landscaped with a lovely pool complete with high-tech lighting. Lot Size: 65 ft. x 100 ft.
"Charming" and "exquisite" describe this superb three-bedroom home. 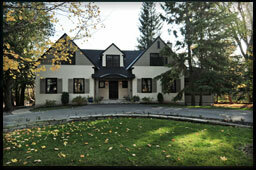 It is located on a quiet street in the Old Village of Rockcliffe Park - an unbeatable location. This recently-renovated home offers sophisticated architectural detailing thoughout. Among its many features are new stainless steel appliances, gleaming hardwood floors, a tumbled marble foyer, and a living room with beamed ceiling and magnificent fireplace. The master bedroom has a glorious, south-facing balcony. Lot Size: 80.00 ft. x 100.00 ft. This elegant five-bedroom, five-bathroom home is situated on a desirable street in a prestigious location in the Old Village of Rockcliffe Park. It has a grand marble foyer; main-floor family room; bright, south-facing kitchen; large master bedroom with balcony and beautiful ensuite; and hardwood floors throughout. 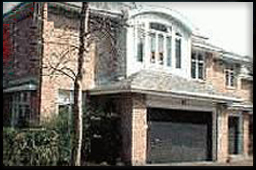 A double garage and interlocking brick driveway complete the picture. Lot Size: 72.18 ft. x 103 ft. 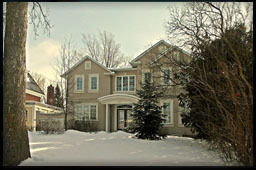 This traditional, Georgian-style brick four-bedroom family home is located on a well-treed corner lot in the Viillage of Rockcliffe Park. Just steps from "the Pond", this lovely home offers a great location. The bright, airy Muskoka kitchen has a granite centre island and opens to the south-facing family room with a fireplace. The living room also has a fireplace. This home features extensive halogenlighting, and dark oak hardwood on the main floor. The basement is finished and there is a double attached garage. This is a fabulous home for family living. Lot Size: 99 ft. x 100 ft. This charming five-bedroom family home enjoys a prestigious location in the Old Village of Rockcliffe Park. It features nine-foot ceilings on the main floor, beautiful mouldings, oversized windows, two fireplaces and hardwood floors. This lovely home is bright and sunny, and has lots of character. The spacious master bedroom suite is privately located on the third floor. Off the living room is a deck with access to the garden, and there is a screened-in porch off the kitchen. It is situated within walking distance of the local schools. This sophisticated townhouse enjoys an exceptional setting, with breathtaking views overlooking McKay Lake and "The Pond". Rockcliffe Park's largest condominium offers five bedrooms, four bathrooms, den, family room and two-car garage. This is a rare, tranquil country setting with beautiful water vistas. Lot Size: 8947.44 sq. ft. 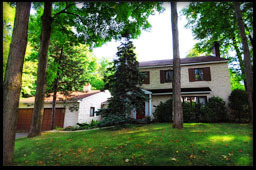 This home is situated on a quiet, secluded lane in the Old Village of Rockcliffe Park. It is surrounded by stately ambassadorial residences and enjoys a prestigious location. This open-concept residence affords contemporary living space combined with parklike views. It has four bedrooms, an award-winning kitchen with granite counter-tops and floors, and centre island. The living room has beautiful marble floors and a 23 foot vaulted ceiling. The recreation room is located on the main floor. The second floor features the master bedroom with an adjacent study and three family bedrooms. Lot Size: 95.60 ft. x 77.40 ft. 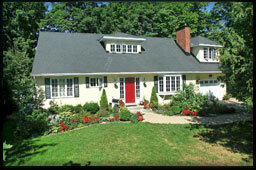 This charming, four-bedroom Cape Cod home is situated on a corner lot in the the Old Village of Rockcliffe Park. It is exceptionally bright, enjoying beautiful light conditions throughout the day. The main floor includes the large living room with a beautiful bay window and a traditonal fireplace, a cozy family room with another fireplace, and a superb, spacious eat-in kitchen. The newly renovated kitchen is a great place for the whole family with a spacious eat-in area that enjoys wonderful eastern exposure in the morning. 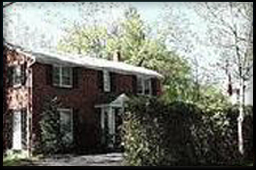 All the bedrooms have hardwood floors and the fourth bedroom is well situated on its own, away from the other bedrooms. This bedroom is currently being used as a study. There is a lovely bright sun room off the living room-just perfect! The home has perennial gardens and a rock garden. This home enjoys wonderful light conditons throughout the day and the front of this home faces south. Just steps from Ashbury College, this home is situated west of Springfield Road on a quiet corner in the Old Village. It is walking distance to all the local schools. This property is just delightful! 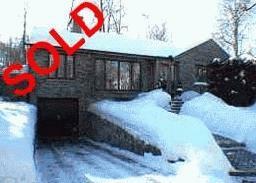 Call Marilyn for an viewing appointment 613.238.2801. Lot Size: 90 ft. x 106 ft. 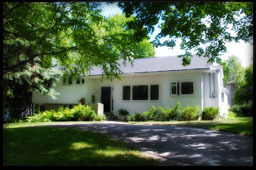 Situated on a sweeping corner lot in Rockcliffe Park, this bungalow offers a great opportunity to imprint your personal style on an interesting space. The house features hardwood floors, a lovely living room fireplace, and a bright, three-season family room off the back. The basement is cozy and finished with two bedrooms. A double attached garage and private garden complete this great opportunity. Lot Size: 13,358 Sq. Ft. This four-bedroom family home is located on an incredible 13,358 sq. 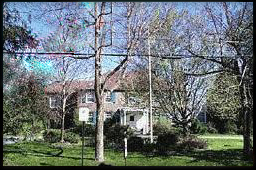 ft. lot with southern exposure and a frontage of 128 ft. This family home offers spacious principal rooms including a huge living room with a beamed, cathedral ceiling and floor to ceiling stone fireplace. 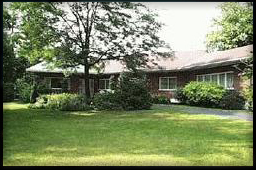 The living room has gorgeous views of the mature treed lot and enjoys southern exposure. The kitchen also has south-facing views, a moveable centre island and an adjacent family room. The main-floor study has a fireplace. This home is inviting, full of light, and offers great potential for a growing family. 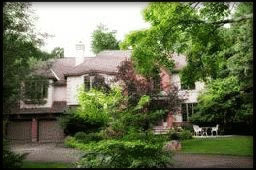 It is located on a very quiet street in the Village of Rockcliffe Park. The second floor has four bedrooms - a spacious master with ensuite bathroom, three additional bedrooms, and a family bathroom. The landing has a linen closet and a large storage closet. There are wonderful views of mature trees from all rooms. Imprint your own style! This lovely three-bedroom end unit offers exceptional light by way of having windows on all four sides. This was the developer's own unit and it has an extra large dining room, beautiful cove mouldings, hardwood floors and many other upgrades. Lovely waterfront views of both McKay Lake and 'The Pond' make this unit especially desirable. The balcony features a large, retractable awning and there are two attached garages. This 10,000 sq. 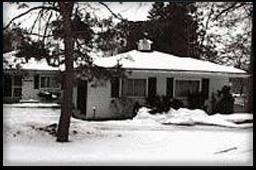 ft. building lot is located ideally in Rockcliffe Park across from NCC parkland. The views toward the river are spectacular! 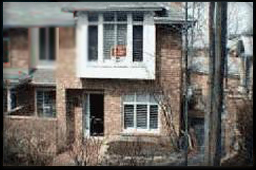 The existing dwelling will be demolished to permit construction of a home to the new owner's specifications. The current owner has commissioned a set of plans, through the collaboration of architect Chris Simmonds and Terra Nova Bldg. Corp., for a 3,750 sq. ft. home that maintains the spirit of the current house. As the current house is to be demolished, there are no viewings of the interior per the seller's instructions. This is a great opportunity for someone looking to build a beautiful new home in Rockcliffe Park, where it is rare to find a building lot. Build according to the existing plans or develop your own. The drawings shown are of the plans that have been developed for the property as described above. Please call Marilyn for further details. Lot Size: 93.17 ft. x 80.83 ft. This sunny, light home features architectural detailing throughout, a dramatic foyer and large-sized principal rooms. There are hardwood floors, two fireplaces, and built-in cupboards in the dining room. The living room has a bow window and two built-in display units. The second-floor master bedroom features garden views. Lot Size: 71.83 ft. x 95 ft.
Mint condition! This fabulous all-brick five-bedroom family home offers exceptional living space in the Old Village of Rockcliffe Park. It has a spacious, open-concept kitchen/ family room, main floor den, recreation room and master suite with a romantic electric fireplace. This is a superb home with a bright, airy feeling. 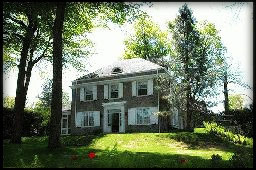 Lot Size: 75 ft. x 150 ft.
For curb appeal you can't beat this charming stone five-bedroom home. It is situated prominently on a beautifully-landscaped 11,250 sq. 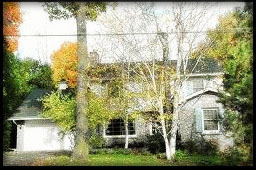 ft. corner lot within walking distance of Elmwood, Ashbury and Rockcliffe Park Public schools. 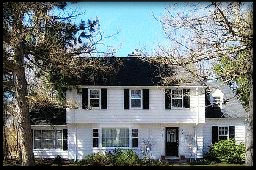 This older home has five bedrooms and five bathrooms (three ensuite). The living room features a marble fireplace, and the main-floor den has wood panelling, a bay window, built-in bookshelves and a fireplace. Off the living room is a lovely screened sunroom opening to a flagstone patio. 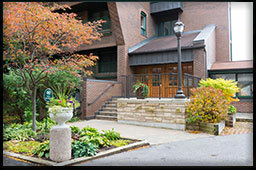 The gardens are beautifully landscaped with mature trees, foliage and stonework. This property is a jewel in a fabulous location. Located in the New Village of Rockcliffe Park, this is a gorgeous four-bedroom plus den, four-bathroom condominium featuring water and sunset views. 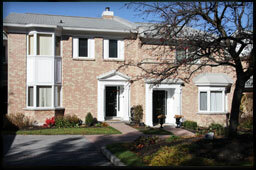 A new "Downsview" gourmet kitchen with granite centre island sets the tone for this elegant townhouse. Other features include Bosch appliances, hardwood floors, spacious dining room, custom California shutters, romantic master suite with dressing room and an oversized balcony with wonderful views. This spectacular waterfront condominium offers a country-like setting with wonderful views of The Pond and gorgeous sunsets, all within minutes of downtown Ottawa. Among its many desirable features are a large marble foyer, two bedrooms plus den, fireplace, designer decor and secure location. The property is in mint condition. Lot Size: 90 ft. x 90 ft. 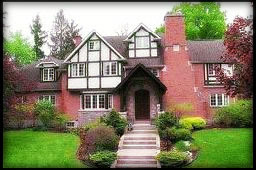 Wonderful Georgian-style family home in the centre of the Old Village of Rockcliffe Park. Among its features are a superb family room with fireplace, hardwood floors throughout, screened sunporch and private, beautifully-hedged garden. 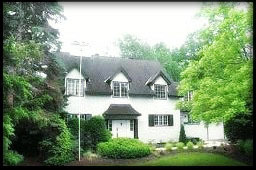 This is an absolutely charming Rockcliffe Park home! The slate-floored vestibule opens to a beautiful foyer with a polished porcelain floor that extends through the foyer into the kitchen. The high-end custom kitchen was crafted by one of Canada's finest cabinet makers. The interiors of the cabinets are solid maple with tongue and groove corners. The design is rich and perfectly accented by deep black granite countertops. A stainless steel sink, stainless Jenn-Air gas range with a convection oven and down draft fan, Jenn-Air stainless side-by-side refrigerator and a fabulous stainless Bosch dishwasher complete the picture. The second floor has three bedrooms and two bathrooms. The master bedroom features a romantic, wood-burning fireplace and eastern and western exposure. The stairs to the second floor and the landing are newly carpeted in off-white pattern-on-pattern for elegance and easy maintenance. The bedrooms all have wood floors. The basement has been renovated and offers clean, bright living space. The additional bedroom in the basement is accessed by double French doors. There is also a bright family room with eastern exposure a built-in television area. The spacious and bright laundry area incorporates a three piece white-on-white bathroom. The back garden is very private. This home has outstanding charm - don't miss it! 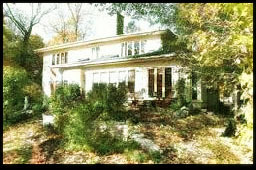 Lot Size: 116.85 ft. x 76.53 ft.
Renovate or build on this beautiful 116.85 ft. x 76.53 ft. lot situated on a knoll in the Village of Rockcliffe Park. 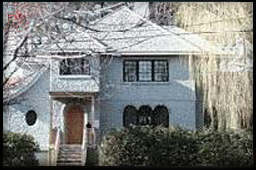 The residence is situated to afford maximum privacy. This three-bedroom, four-bathroom bungalow has majestic south-facing views. The living room is spacious and features a large marble fireplace. There is a main-floor study and a bright, airy family room. A full basement and attached two-car garage, flagstone walk, and mature, treed, south-facing gardens complete the picture. Use your imagination and turn this into your DREAM PROPERTY. Lot Size: 72.00 ft. x 95.00 ft. This charming Cape Cod home is centrally located in the Old Village of Rockcliffe Park within walking distance of Elmwood School, Ashbury College, Rockcliffe Park Public School and the Beechwood Avenue shops. It has great curb appeal and has been completely renovated. The property is hedged and fenced. Among its many features are hardwood floors, beautiful skylight, open concept kitchen/family room, central air conditioning, and a luxurious ensuite master with Roman tub and separate shower. 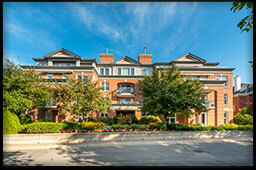 This rare, bungalow-style condominium is located in a picturesque waterfront setting on The Pond in Rockcliffe Park. It offers two bedrooms and a den, and all rooms but one enjoy water views. Among its features are a fireplace in the living room, hardwood floors, and a large balcony overlooking the water. Although the property is on one level, it is situated high over the lake, affording spectular year round views. This home is extremely open and bright, making it a rare opportunity to obtain a superior condominium in a superb setting. Lot Size: 12,730 sq. ft. This cozy, charming Cape Cod home is located on a quiet street in the Old Village of Rockcliffe Park. With its picturesque setting and large, 12,730 sq. 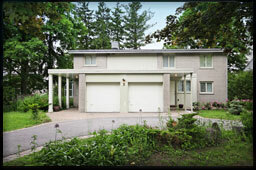 ft. lot, it invites expansion into a significant Rockcliffe Park residence. Alternatively, this is an opportunity to acquire a beautiful building lot in the Old Village. 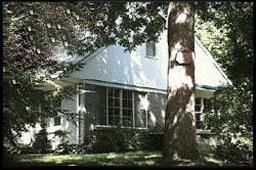 The current house, although small, offers lots of charm with it fireplace, screened-in porch and second-floor master bedroom. Lot Size: 14,676 sq. ft. 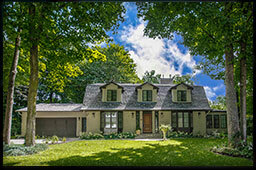 This charming stone bungalow is located on an exceptionally private cul-de-sac in the Old Village of Rockcliffe Park. It has southern exposure that fills the home with light. Hardwood floors throughout, three fireplaces, main-floor library, cozy family room and play room combine to make this an exceptional find. 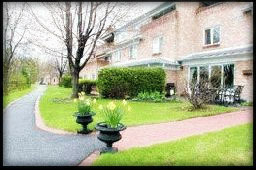 If you are looking for a secure condominium in a tranquil setting, look no further! 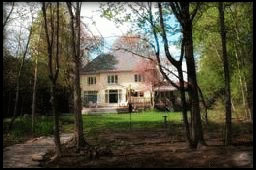 This great condominium is situated in a serene, wooded area adjoining nature paths, wildlife sanctuaries and "The Pond". It offers two bedrooms, three bathrooms, and a large master bedroom suite. Features include large windows, central air conditioning, lovely south-western exposure, all within walking distance of local amenities. It has views of a quiet courtyard and fountain, part of this most private enclave. Lot Size: 80.18 ft. x 113.62 ft. Situated privately behind an imposing hedge, this home enjoys a great location in the Old Village of Rockcliffe Park and is near all neighborhood schools. It has a lovely centre hall plan comprising four bedrooms and three bathrooms. The master bedroom has a private study and ensuite bathroom. 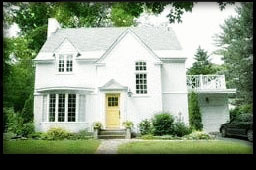 Among many architectural features are "pointed arches", French doors, fireplace, hardwood floors, and a bay window. The lot and garden are simply beautiful. Lot Size: 52 ft. x 96 ft. 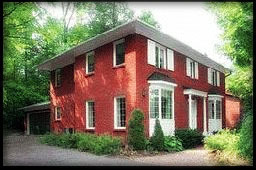 This non-conforming property is located on a quiet street in the Old Village of Rockcliffe Park. 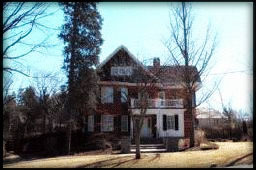 The house was built in 1923. It offers an opportunity to establish a base in the Village for a reasonable price and an even greater opportunity to develop a unique property to suit your taste. This beautiful, spacious condominium is tucked away in a serene location with views of a private courtyard and waterfall. Featuring new appliances, a stunning fireplace with marble surround, and bright kitchen, this residence sets the perfect balance between luxury and comfort. Adding to its appeal, this condominium also offers western exposure and a small private garden and terrace. This property has that rarest of characteristics - privacy in a convenient, central location. Lot Size: 11,504 sq. ft. This is a spacious and bright split-level home in the Old Village. It offers hardwood floors, new windows, fireplace and central air conditioning. There is a recently-renovated, fully-finished basement with full bathroom. This home is situated on an 11,504 sq. ft. lot and enjoys a large, private garden. This property is immaculate. Lot Size: 90.00 ft. x 113.42 ft. 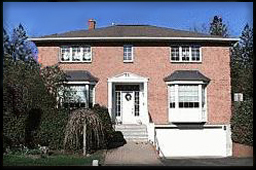 This is a lovely family home on a quiet street in beautiful Rockcliffe Park. Lot Size: 72.26 ft. x 148.00 ft.